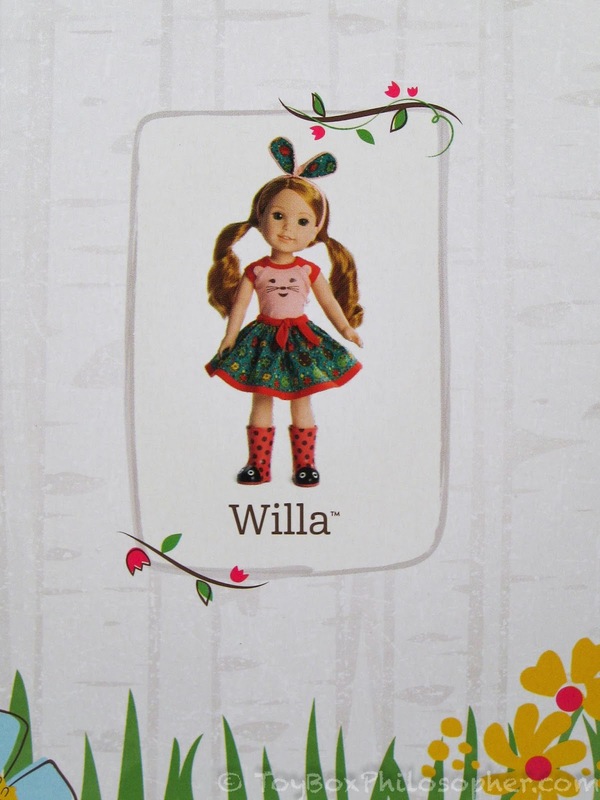 Willa is the red-headed, green-eyed animal-lover in the group. For some inexplicable reason, I also get the sense that she's the leader of the group. I haven't read any of the books, though, so I have no idea of this is true. Ashlyn is the princess-loving party planner. She's dressed all in pink with plenty of tulle. Her theme and outfit don't speak to me, personally, but her coloring is beautiful--especially her realistic freckles. Camille loves the ocean and has a great water-themed outfit. She's a pale-skinned blonde with bright blue eyes. Camille has fish boots that are fabulous. Emerson is a dancer who loves the spotlight. 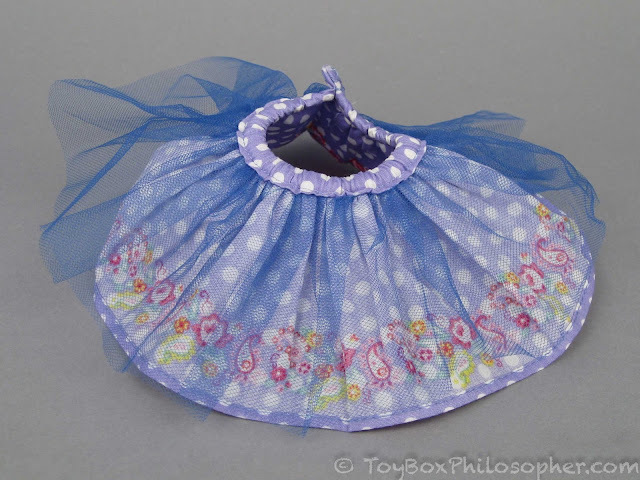 Like Ashlyn, her outfit has a healthy dose of pink, tulle and sparkle. She's Asian and has short dark hair and brown eyes. Kendall is the creative one. She likes to draw and invent things. 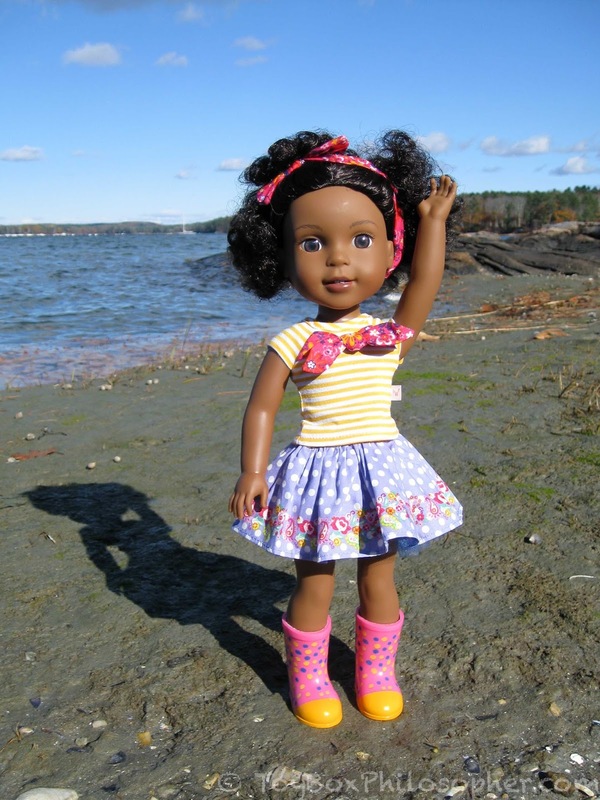 She's black and has short curly hair and dark eyes. 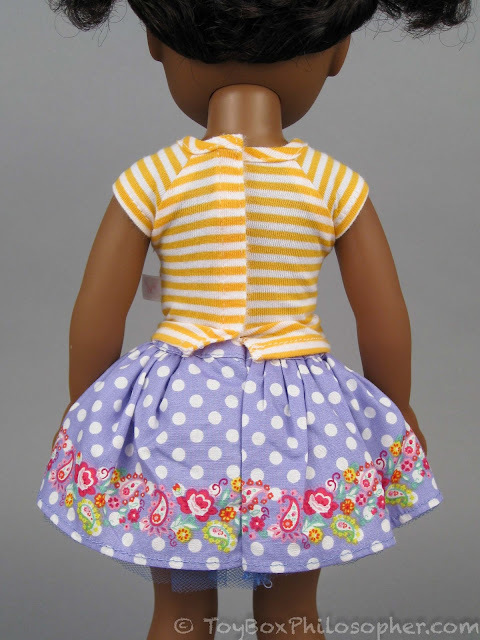 Her outfit is a colorful mix of polka dots and stripes. I had a hard time choosing just one of these characters. They're so fun to look at as a group. It's probably fairly obvious that I wanted the green-eyed, freckled, redheaded animal-lover, Willa (Easiest. Decision. 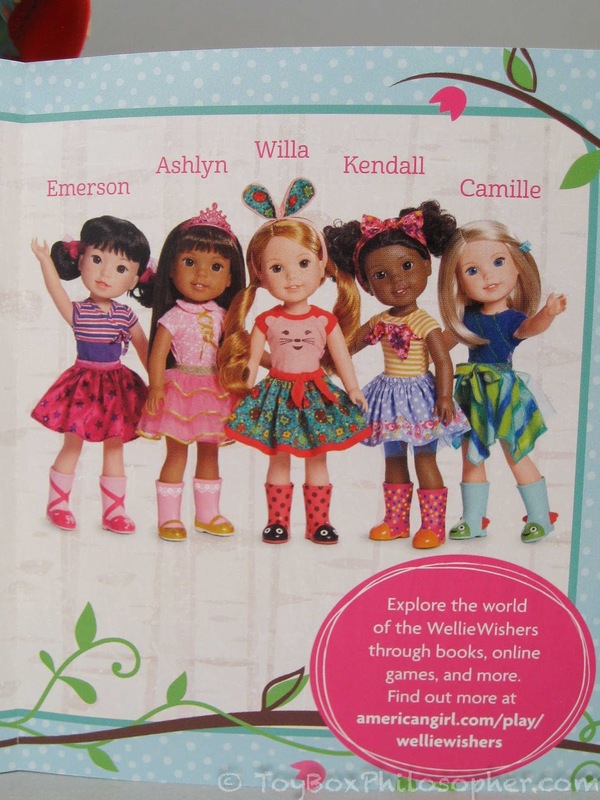 Ever), but I also felt drawn to Camille and Kendall's characters. I ended up choosing Willa and Kendall, and will share both of them with you in today's post. 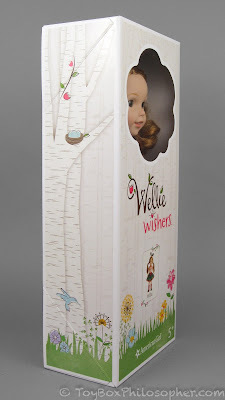 The WellieWishers come in cardboard boxes with plastic flower-shaped windows. 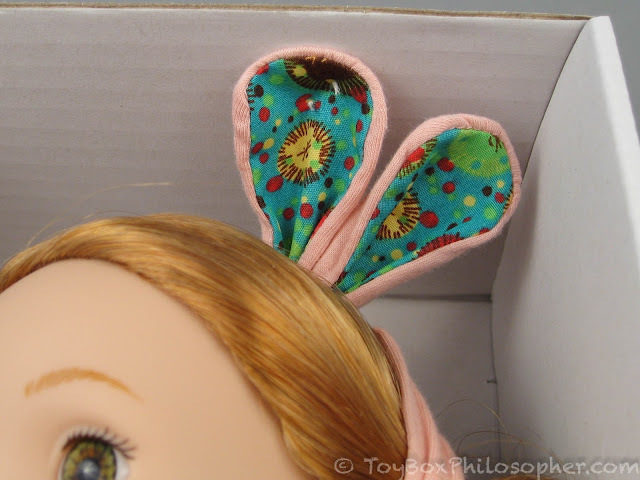 The windows are great because they allow the dolls' cute little faces to peek out. She has foam covering her boots (to protect them from the rubber bands) and a small strip of foam protecting her neck from the tight string. Look at her sweet face! At least it's not a plastic tie! I carefully snipped that thread and she was free! 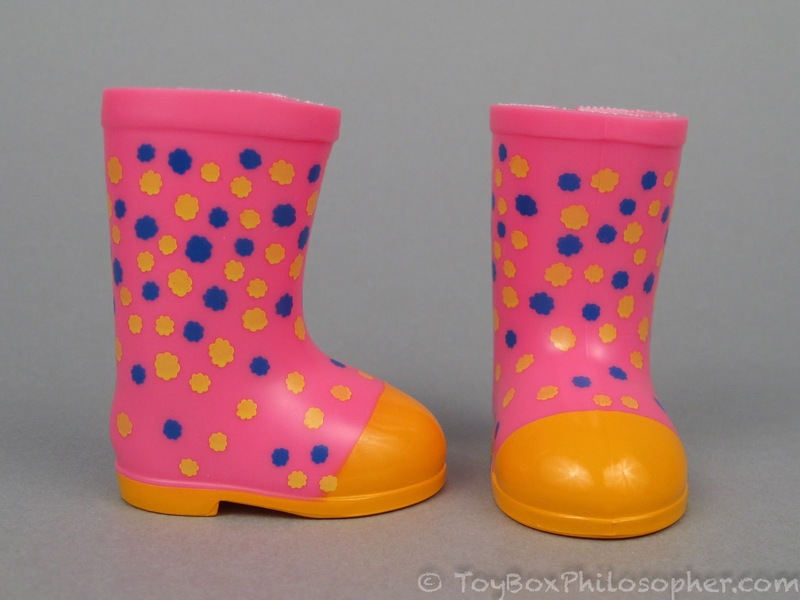 The boots make me think of Melissa and Doug's Sunny Patch outdoor collection--or at least the collection from 2008. My niece really liked the garden tools from that series when she was younger. 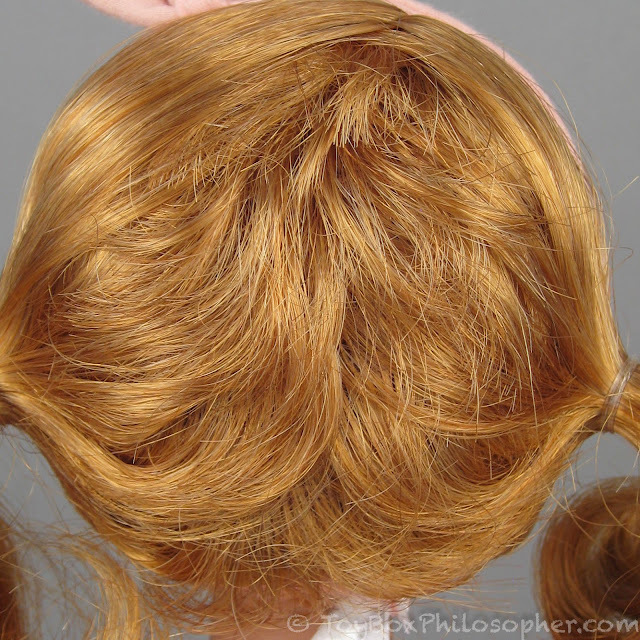 I'll take the hair down in a little while to get a better look at what's going on with the wig. 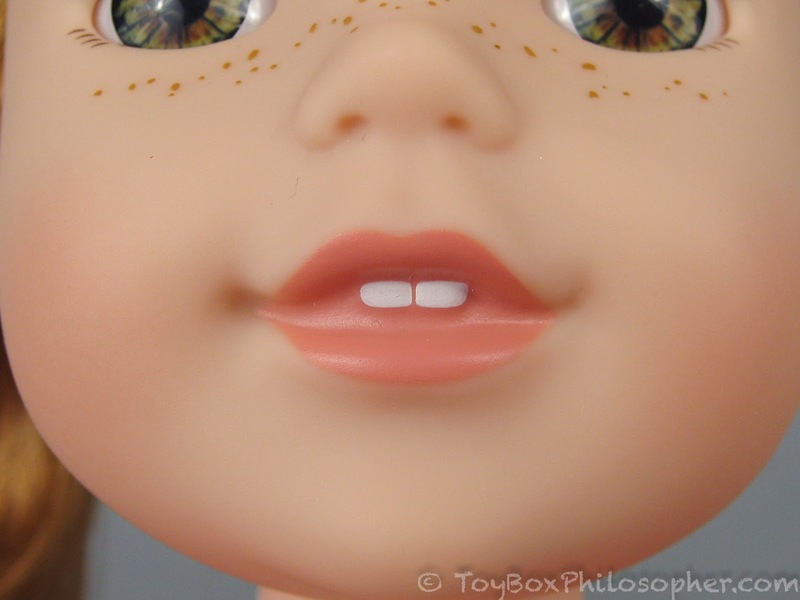 Unlike regular American Girl dolls, Willa's inset eyes are fixed in place. 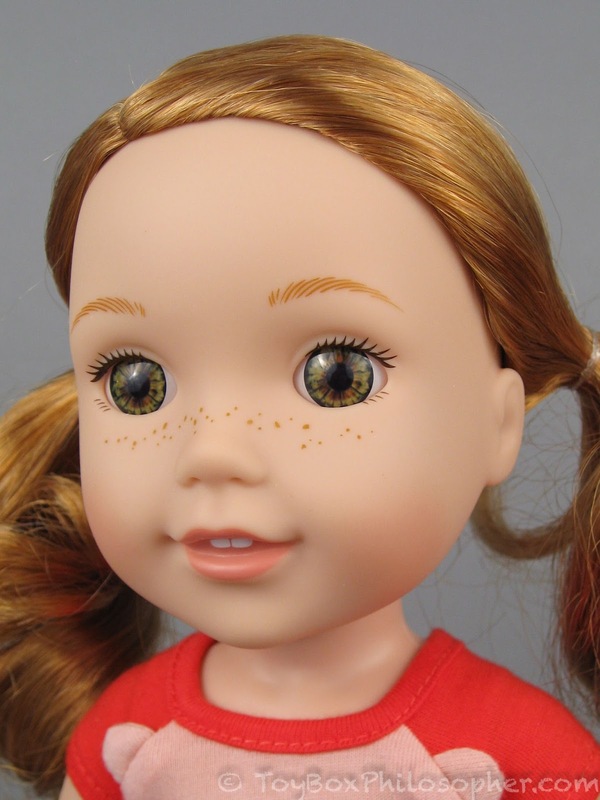 I don't mind that she can't close her eyes, and I certainly don't miss the severe ridge of eyelashes that regular American Girls have. For me, something was definitely gained in translation here. 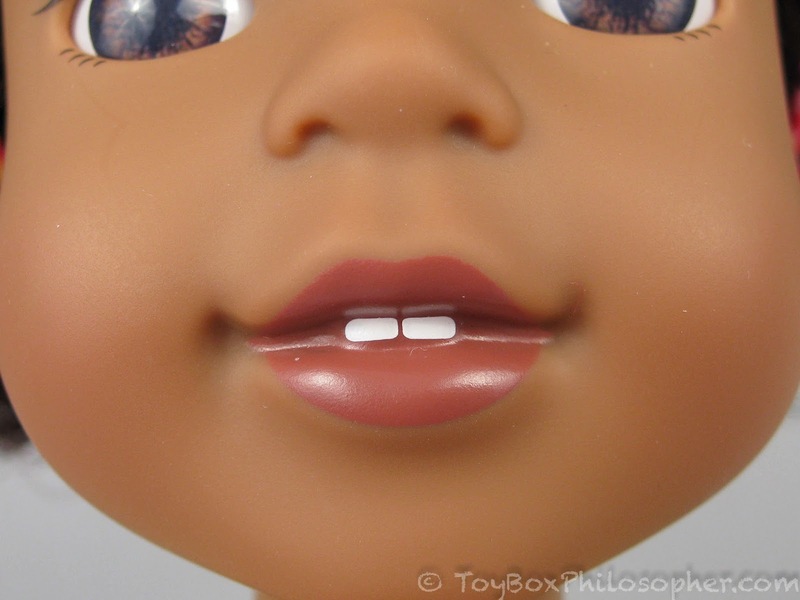 I like the mouth and teeth much better in the WellieWisher's smaller scale. The tee shirt has a wide velcro seam running all of the way down the back, so it's very easy to get on and off. Cats with static electricity issues? They looks like cats to me--maybe even lions. Apparently, they're meant to be hedgehogs. The tee shirt is supposed to be a hedgehog face, too. I never would have figured this out on my own. 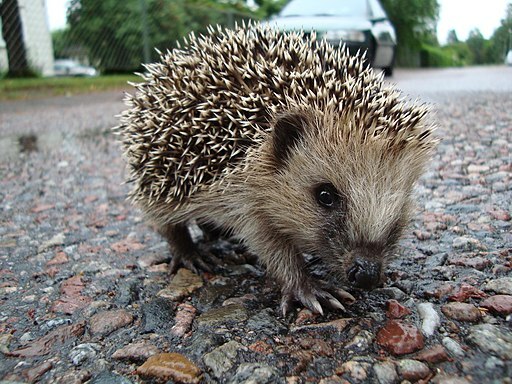 We can also look at some pictures of real hedgehogs for a minute--to compare with the shirt, but also just because they're insanely cute. 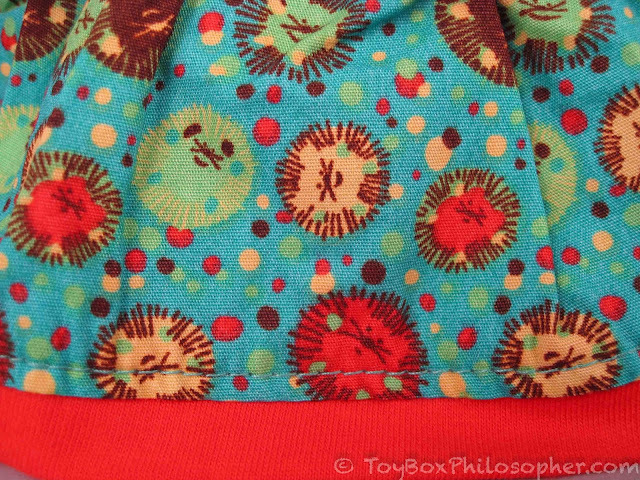 I can definitely see how the skirt print is meant to represent hedgehogs...and I love it. I don't think I've ever seen hedgehog-themed clothing before. 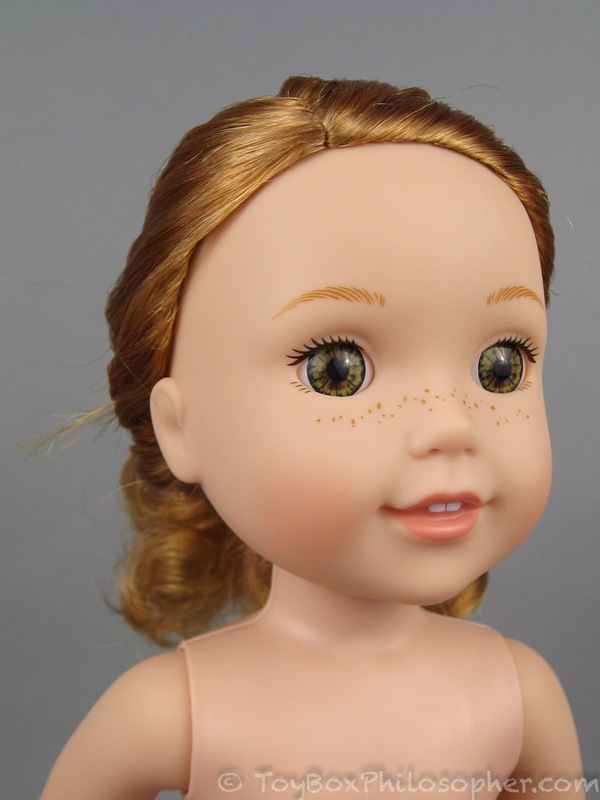 I might be way off-base here, but I get a very British vibe from this doll line. 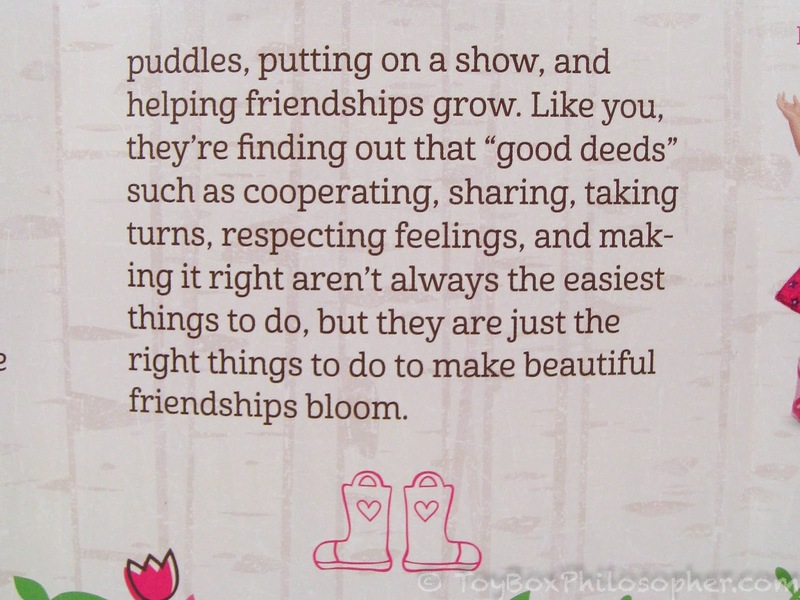 First of all, the friends are called WellieWishers, and "Wellie" (short for Wellington) is a British name for boots. It's not a name I've heard much in this country. Also, the girls play in the backyard garden, which is more of a British colloquialism. When I lived in Scotland we had a garden in back of our flat, not a yard, despite the fact that there were no flowers anywhere. 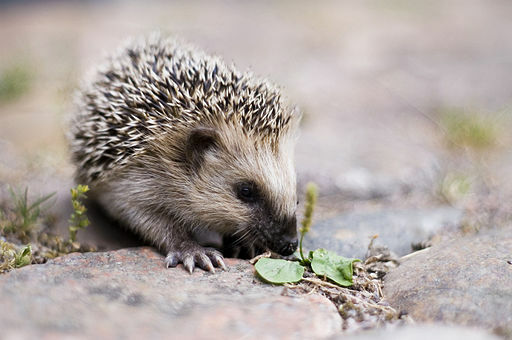 Also, as far as I know, there are no species of hedgehog native to North America. They're all over the place in Great Britain, though. I love the British nuances--don't get me wrong--but they do seem a little odd for an American Girl doll. 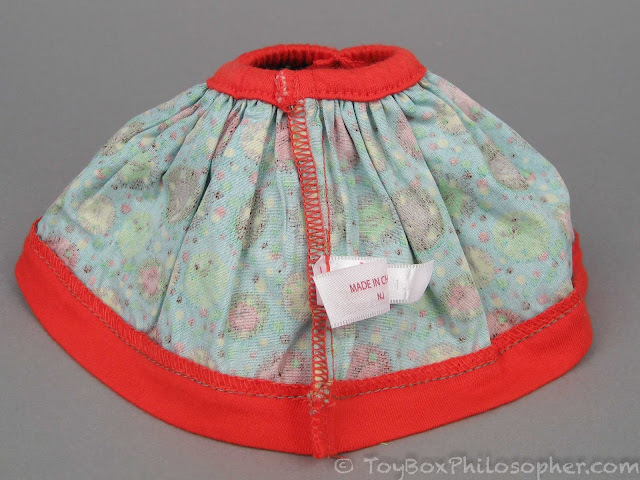 Whether the dolls are meant to be British or American, the clothing is made in China...and it's made very well. They look a lot like life-sized rubber boots, with a very thin white knit lining stuck to the inside. 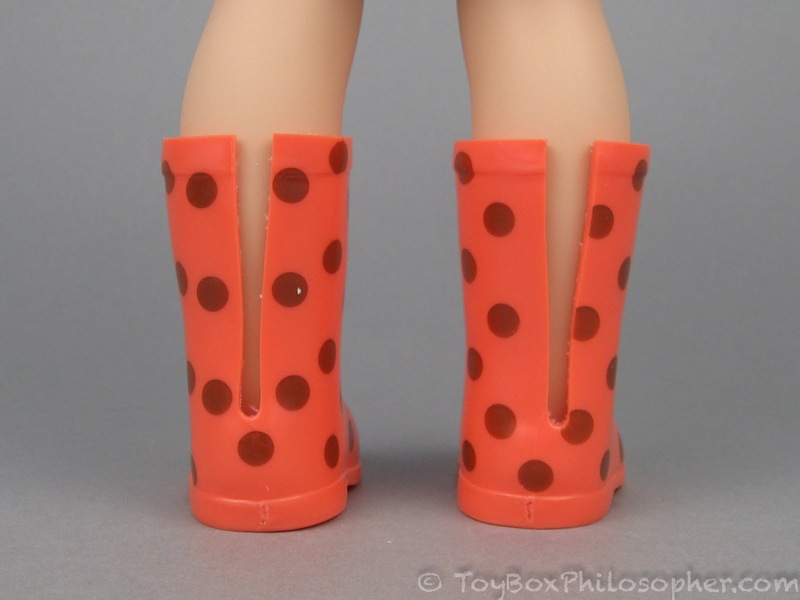 This lining allows the boots to slide on and off easily even though none of the dolls are wearing socks. I was surprised by my Willa's limited head articulation because some of the dolls in the online catalog appear to be tipping their heads to one side. Take a look at Camille if you get a chance--she's probably the best example of this. My Willa can not tip her head to the side. 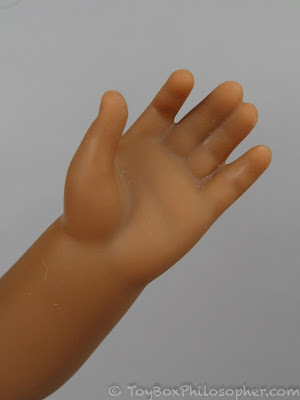 I'm rarely a fan of such minimal articulation...unless the doll is geared specifically towards younger children. 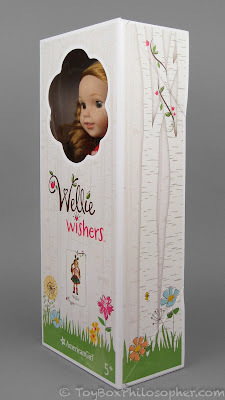 And, indeed, the WellieWishers are aimed at a younger crowd (5-and-up) than the regular American Girl dolls (8-and-up). It looks beautiful in pictures. 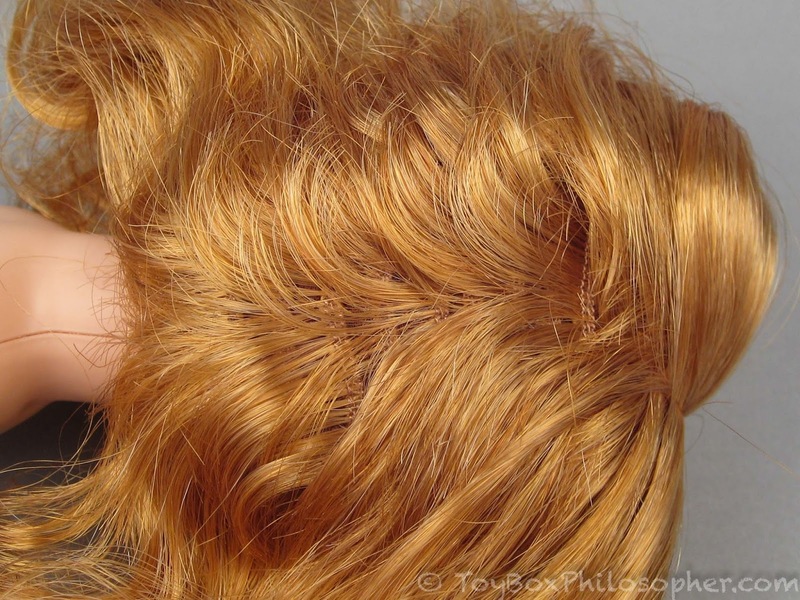 The color and wavy curls are gorgeous. However, the hair fiber is not as silky or soft as the hair on my larger American Girl dolls. 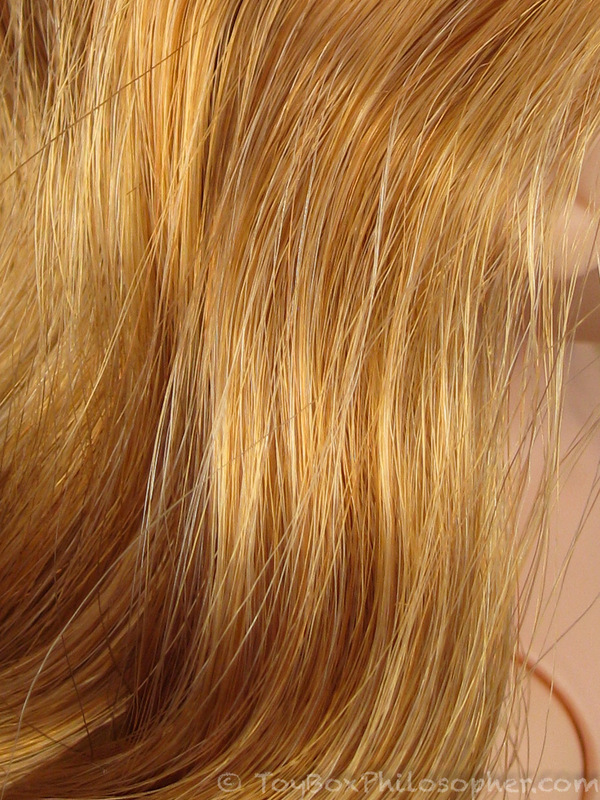 It's smooth and shiny at the top, but gets dry and coarse at the ends. Frankly, it doesn't feel very nice when I run my fingers through it. I tried several times to get all of the short hairs tucked in, but it wasn't possible. Now, let's take a look at Kendall! 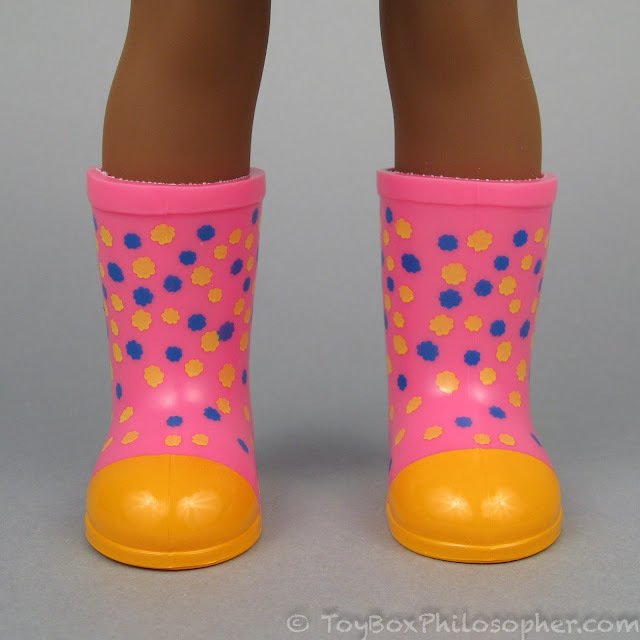 She comes in the same packaging as Willa, with the odd exception that the rubber bands holding her boots in place were clear--not yellow. I love Kendall's outfit. 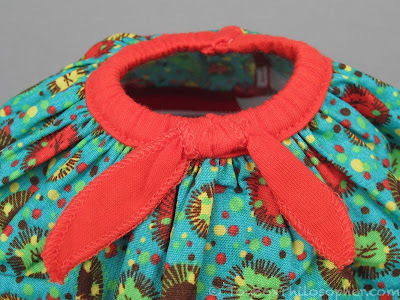 It's a wacky, fun mix of colors and prints that I think works (and puts me in a good mood). 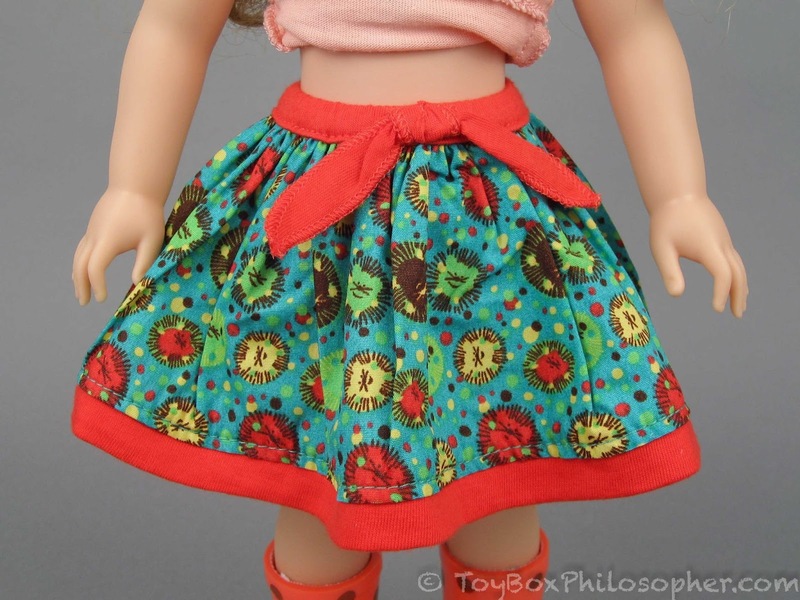 The only detail that I might change is the decorative bow on her shirt. 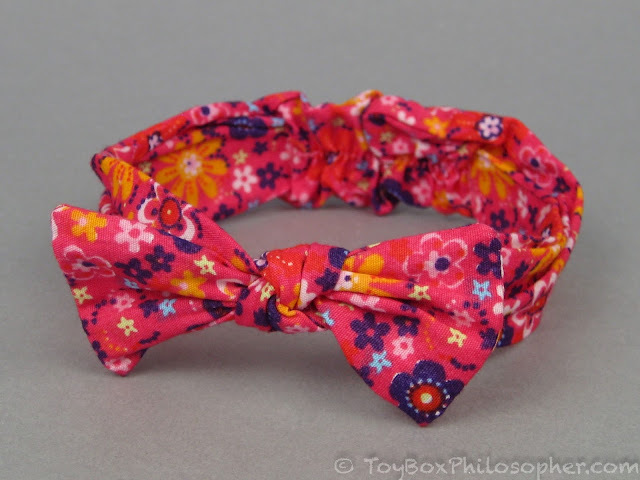 It matches the headband, but it's too bulky...and I don't think matching is necessary with this look. Pink trim on the shirt would have had a similar effect. Kendall's face mold is similar to Willa's, but not exactly the same. There are apparently three distinct face molds in this line; Kendall's (which is shared with Ashlyn), Willa's (which is shared with Camille) and Emerson's...which is hers alone. They're all really similar. I really hope that these beautiful inset eyes don't fade over time the way My Twinn and Hearts 4 Hearts eyes did. 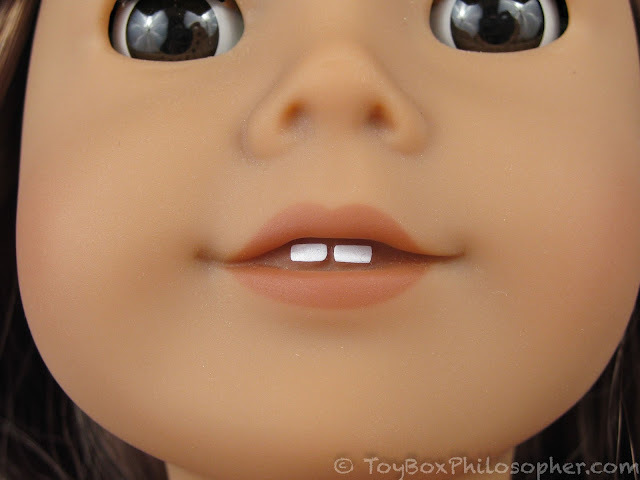 I don't know why I'm worried, though, because all evidence suggests that American Girl is good at selecting durable eyes. The curl in Kendall's hair makes these short strands look good, though, at least when the hair is up in ponytails. 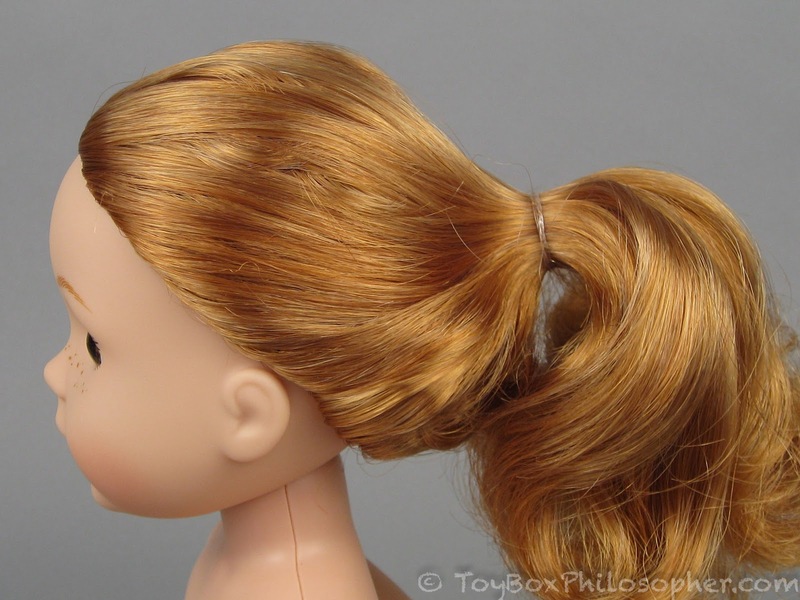 I'll take the ponytails down a little later. The shirt opens all of the way down in back with velcro, the skirt has an elastic waistband. American Girl hand (left), WellieWisher hand (right). These nails are much squarer in shape. Keira feels like a higher-quality doll overall. Her body is heavier (and huggable) and her hair is really nice. 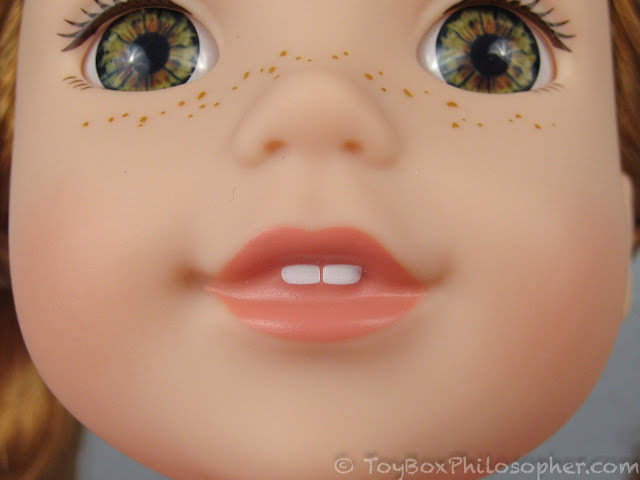 Her eyes also open and close, which is a great feature. However, I actually like Kendall's slim build and overall appearance better. In many ways, she looks older than Keira--or at least she could span a wider range of ages more believably than Keira could. I suspect some American Girl fans wish that the WellieWishers had cloth torsos. 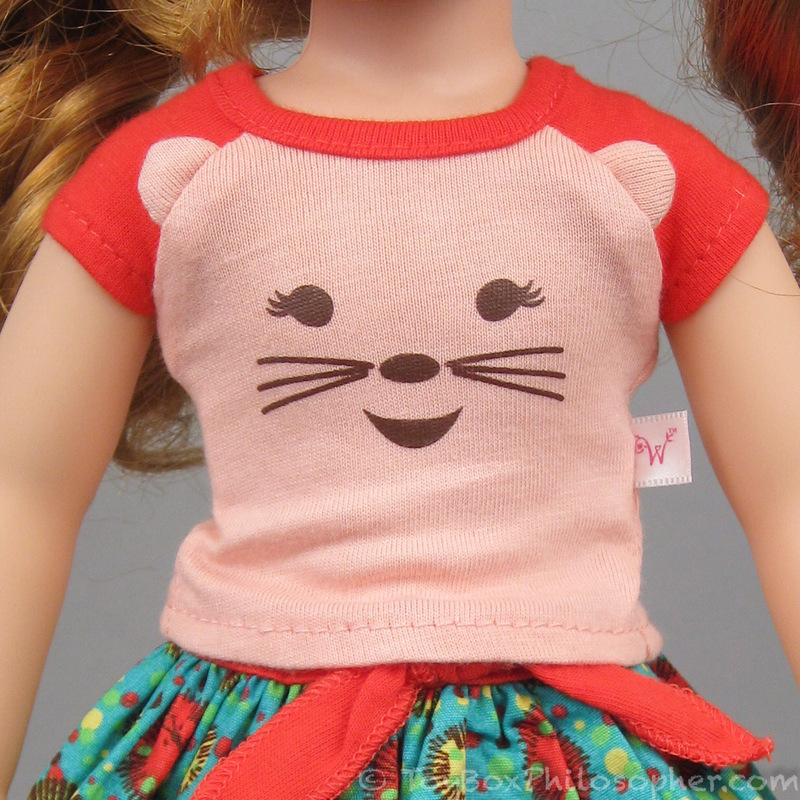 I'm guessing that the decision to use a plastic torso on these new dolls was to keep the price down, and also to improve the durability of the doll for a younger audience. The plastic torso does not bother me. I like the shape, and I think it makes the clothes look better. WellieWishers Kendall and Hearts 4 Hearts Consuelo. 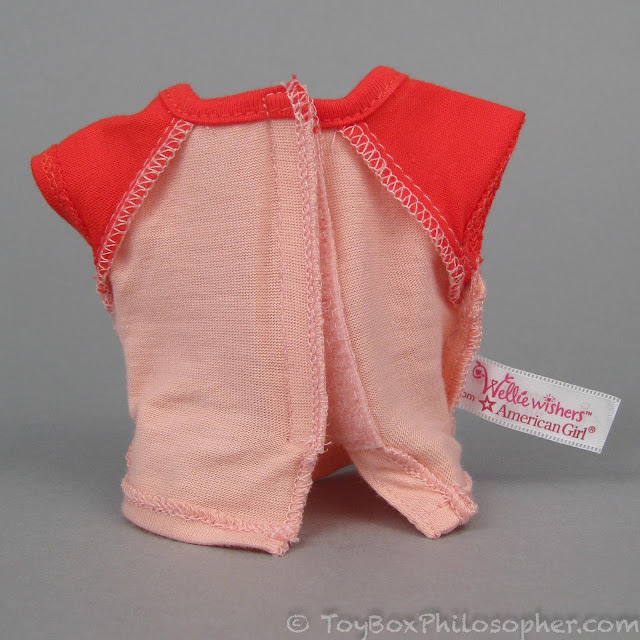 When I first saw the WellieWishers, I wondered if Mattel had purchased the Hearts 4 Hearts molds and made their new line from those. Apparently not, but the WellieWishers certainly help fill a void that was left by Hearts 4 Hearts. 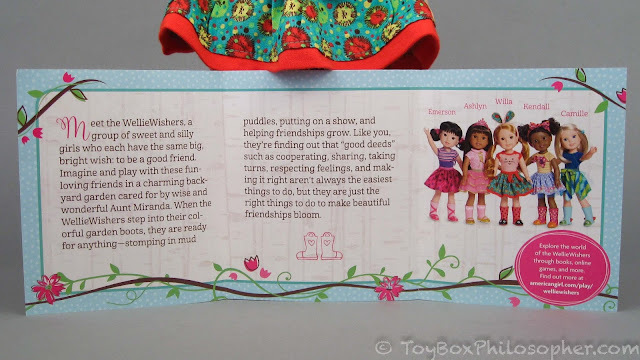 Clothing: The WellieWishers definitely have better outfits than the Hearts 4 Hearts dolls (not necessarily in terms of design, but in terms of fabric and construction). 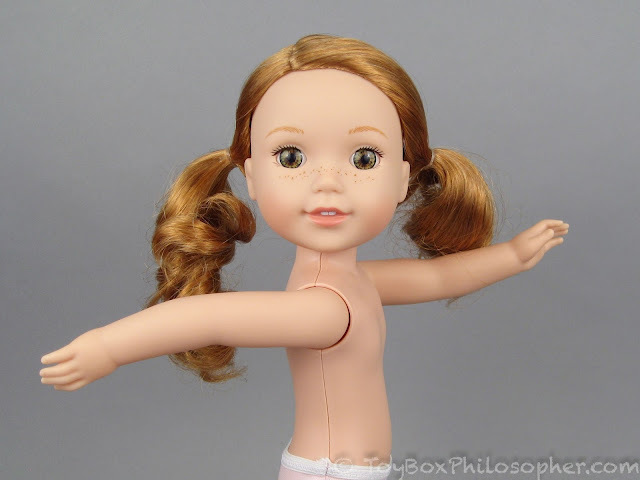 Body and articulation: both dolls have plastic torsos and vinyl limbs. 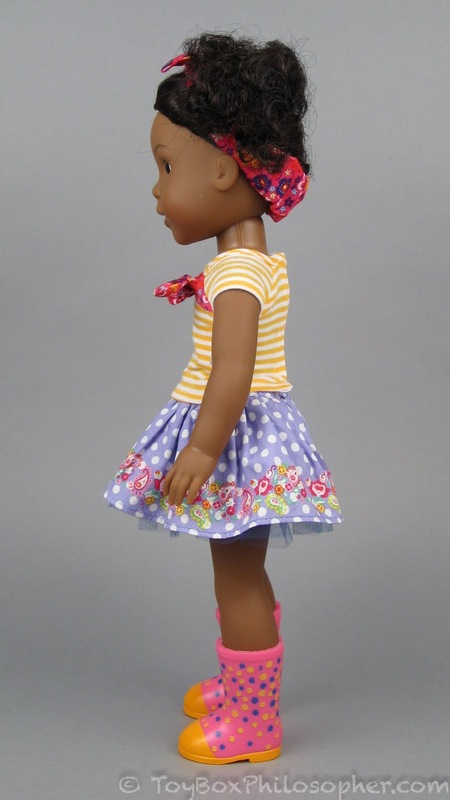 The Hearts 4 Hearts dolls are elastic-strung, which gives them more flexibility in their heads and limbs. However, elastic can stretch or degrade over time and should not get wet, so it's a less durable option. 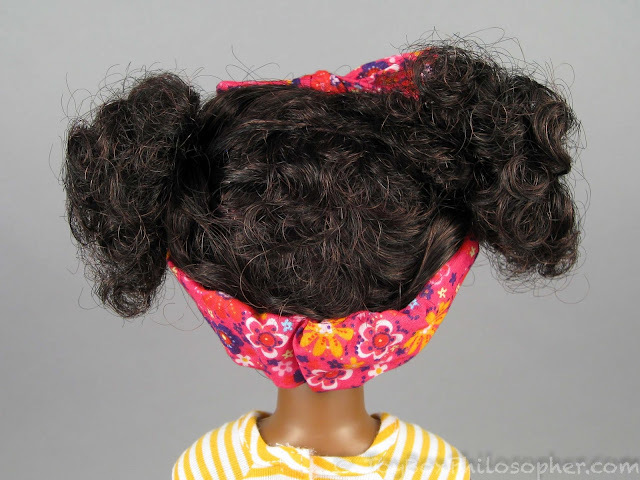 Hair: the Hearts 4 Hearts dolls have rooted, wonderfully silky hair that I think is more versatile than the WellieWisher wigs with their short strands. 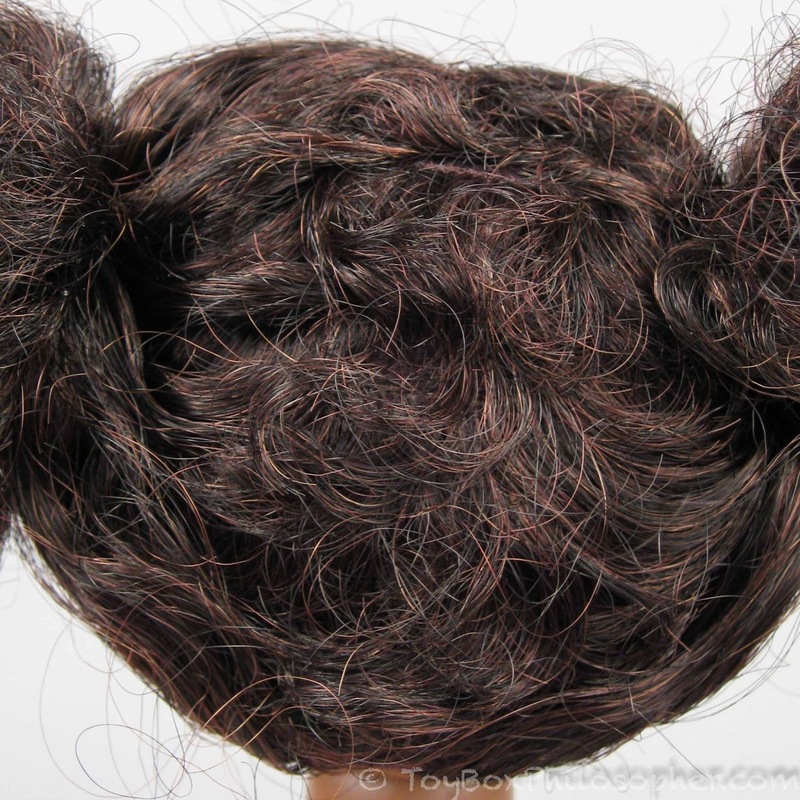 While rooted hair can't accommodate ponytails without showing root plugs, it looks good in most other styles. 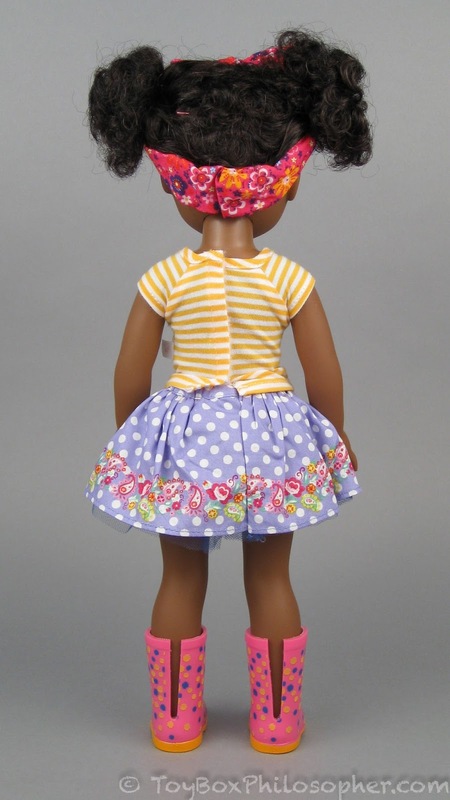 I like dolls with rooted hair who also have a part down the back to accommodate ponytails. 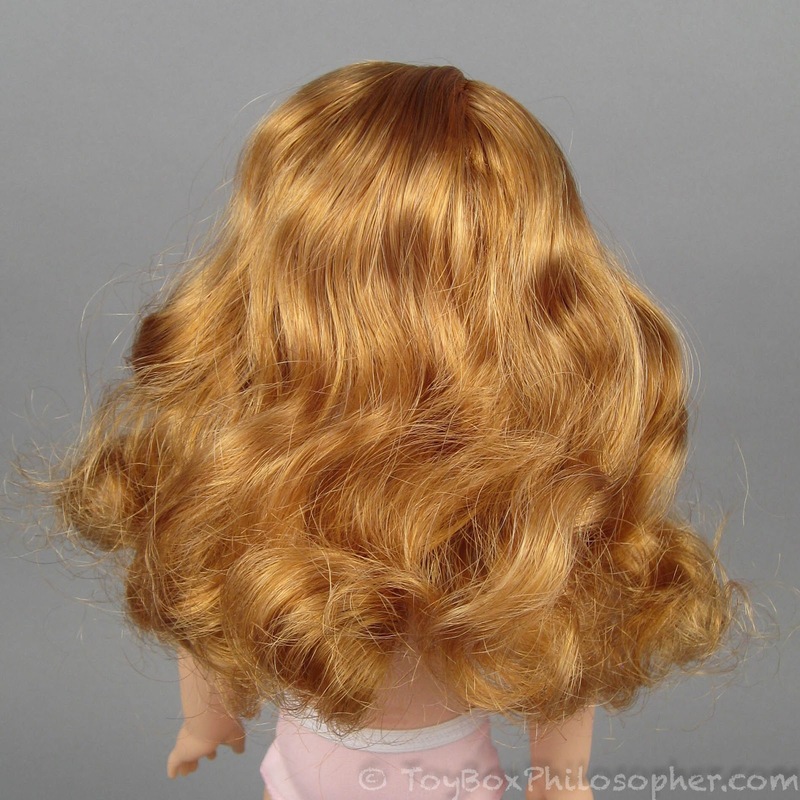 I find those parts very useful---and they're easy to conceal when the hair is worn down. 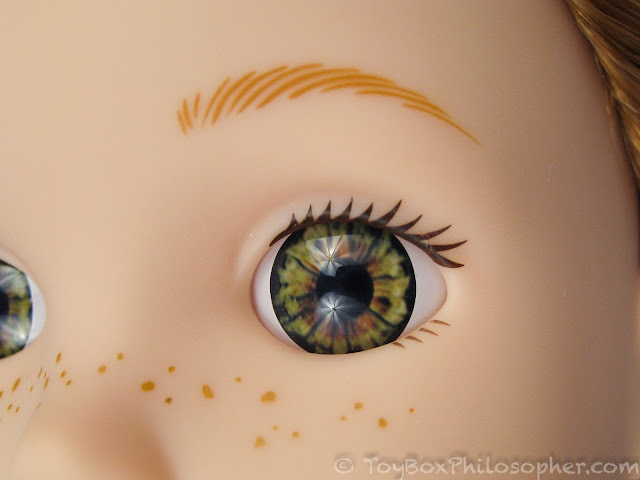 Face and eyes: this comparison really comes down to personal preferences. 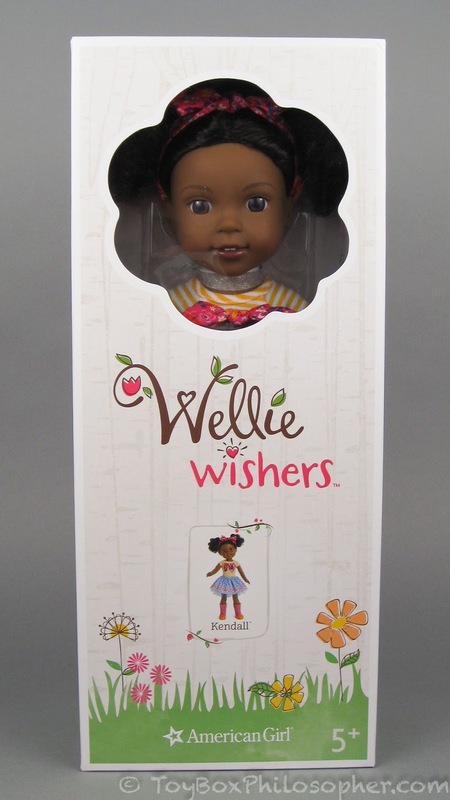 I happen to like the happier, smaller-eyed faces of the WellieWishers better than the Hearts 4 Hearts faces. 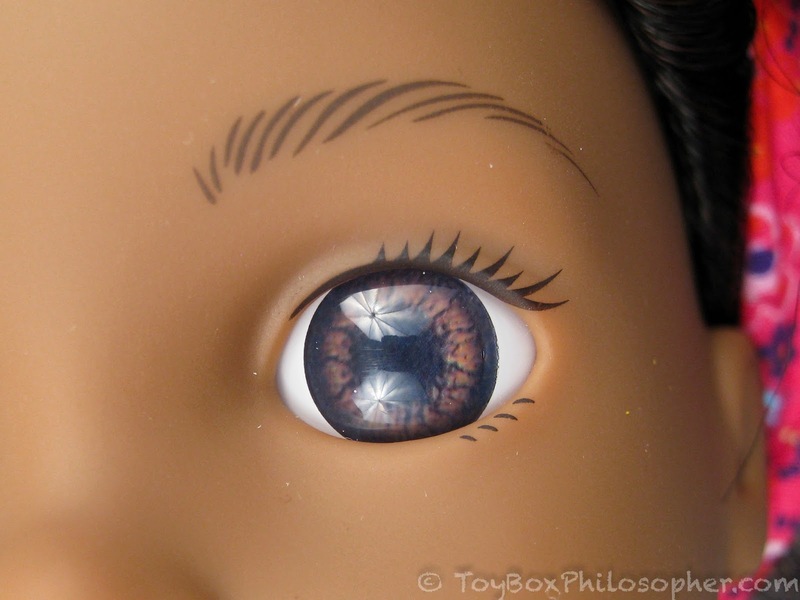 I love both dolls' eyes: they're both detailed, realistic, and do not close. 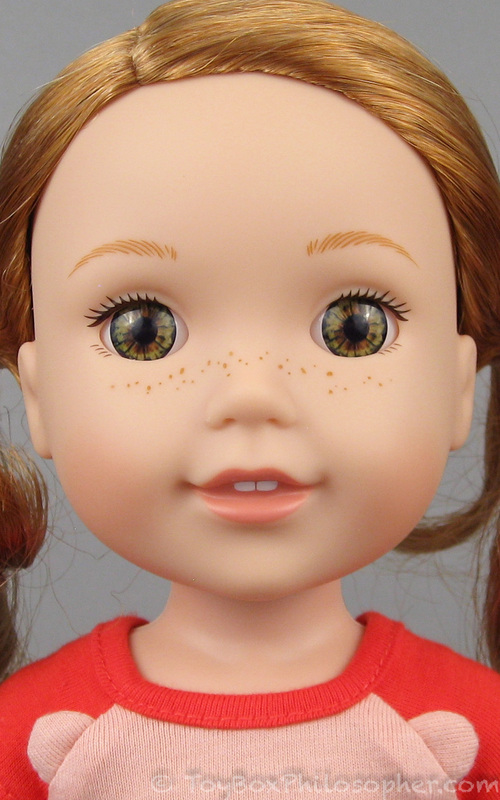 The Hearts 4 Hearts dolls also have eyes that can fade over time, but that's hard to factor in to the comparison at this stage. Taking all of this into consideration, I think the Hearts 4 Hearts dolls were a much better value than the WellieWishers-- by about a factor of two. However, the low retail of the Hearts 4 Hearts line might have been part of why they didn't last. I thought Kendall was skinny...until I saw Valencia! 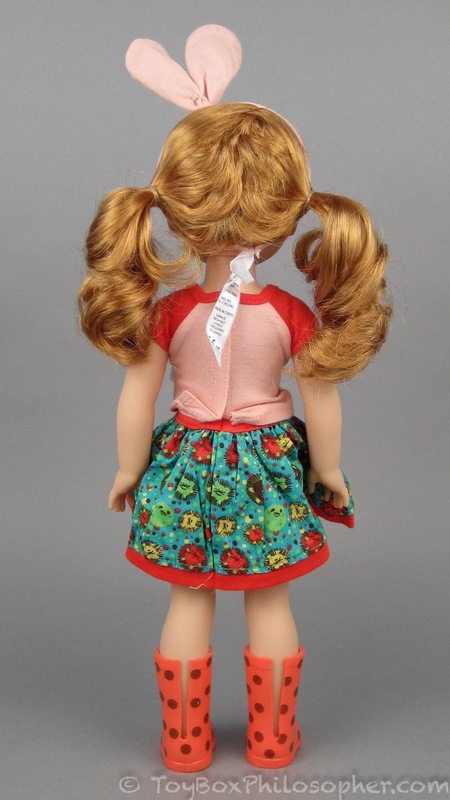 Clem is considered to be an 18" slim doll, so it's interesting to see how Kendall measures up. She's similarly proportioned, just a bit smaller in overall size. They have essentially the same body, but it's interesting that with my two dolls, Kendall's arms stick out farther form her body and Willa's head is tipped slightly upwards. Willa wearing Kendall's skirt and boots while Kendall wears Willa's skirt and boots. I left her hair down because I like how it looks this way and I'm hoping that the curls will relax into this style over time. Because Willa and Kendall come with their own rubber boots, I thought it would be nice to take them down to the water where these boots could be put to practical use! Willa was excited to wade around in the tide pools in her ladybug boots. Don't let the blue skies fool you, this November day was a bit too chilly for bare-footed wading! She also wanted to inspect every single tide pool for signs of living creatures. We didn't have much luck on this particular day. In her explorations, Kendall discovered a patch of water that had been churned into white foam by the impressive waves. The foam was cold, but fun to play with! Kendall was eager to show me some of the foam, but managed to fall into the water three times while she was rushing up the beach! It's like a huge reverse mohawk. After all of this excitement, Kendall agreed to rest for a moment and let the sun warm her up. Can't you just see all of the ideas and excitement in those eager faces? We ended the day up on the grass, drying off and thinking about what our next adventure could be. Bottom line? Let's chat about the flaws with these dolls first, because there aren't many of them. 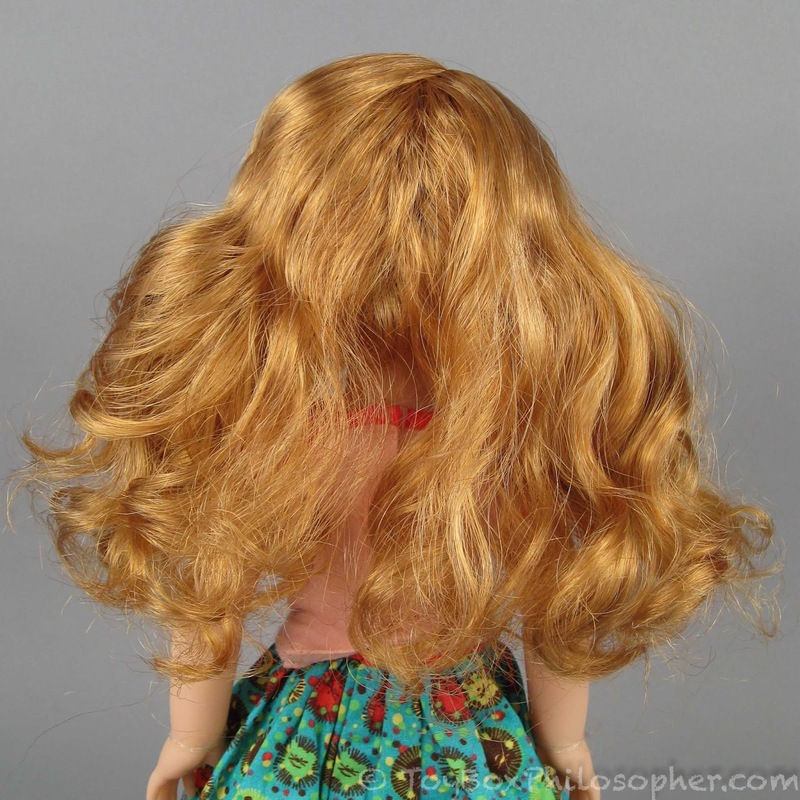 For me, the biggest disappointment is the hair. Willa and Kendall both have a lot of short hairs at the backs of their wigs. This is an intentional design feature to allow the dolls to have ponytails without revealing any of the wig cap. 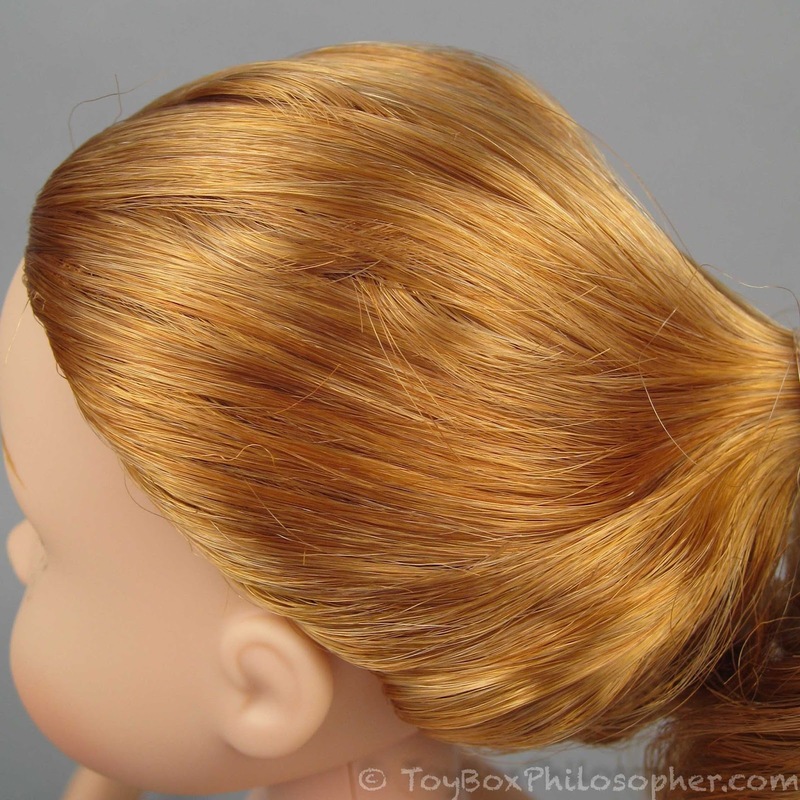 It works for that purpose, but it also restricts the overall versatility of the hair. Neither doll looks very good from the back when her hair is down, and Kendall has a very obvious wedge of hair missing in the back. 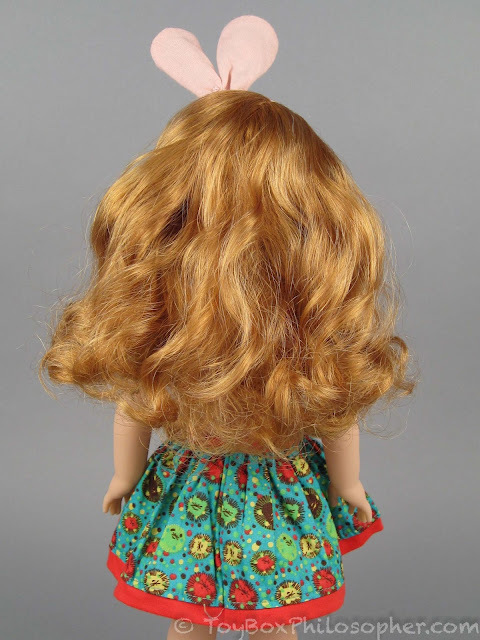 Willa's longer hair conceals the short strands better, but the little bristly strands still stick out in funny ways, making it hard to find alternate hairstyles. 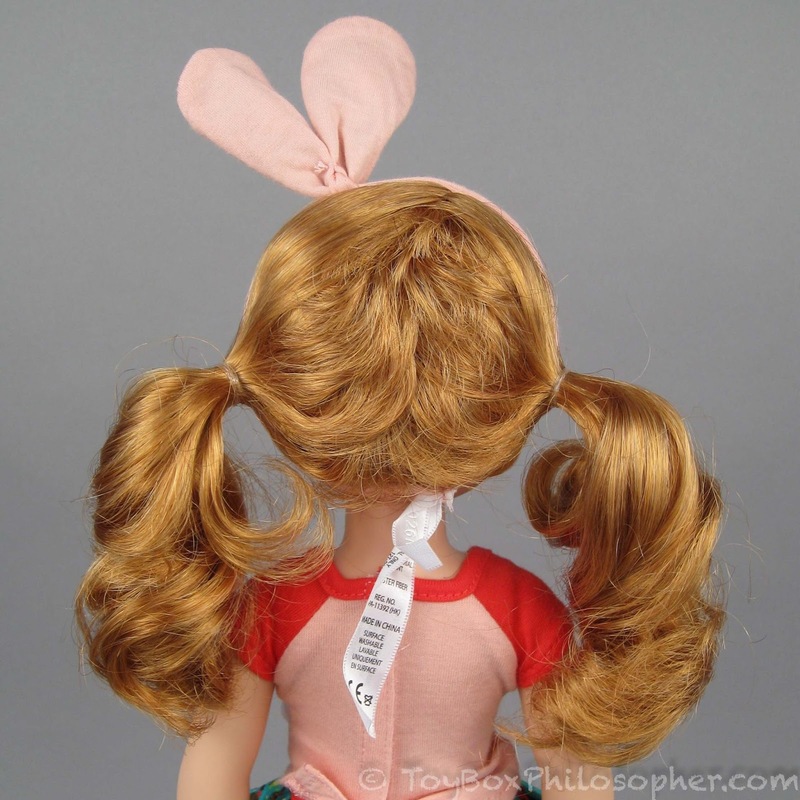 I wish the wigs had stitched parts in the back to accommodate the cute ponytails. 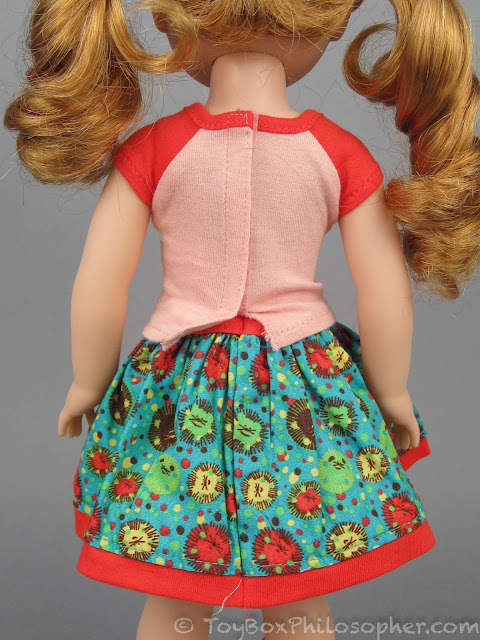 That said, I like the way both dolls look from the front when their hair is down, so I'm still working on ways to conceal the thin patches. 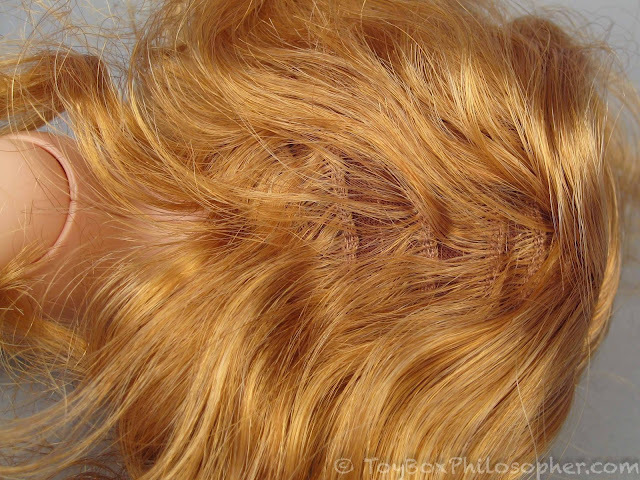 The soft curls in Kendall's hair are nice. 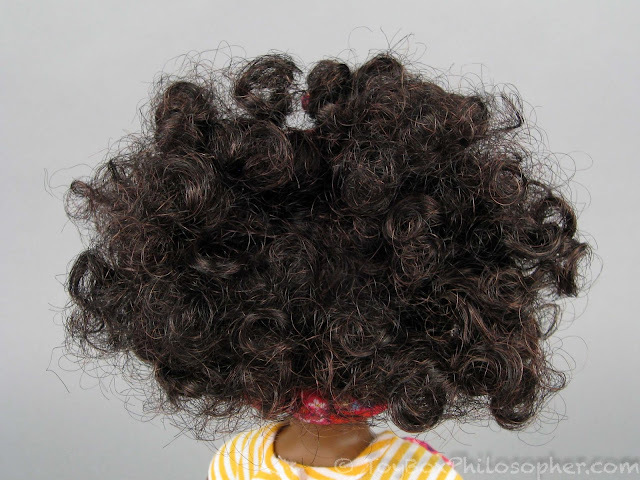 Willa's hair feels great at the top of her head but coarse and dry at the ends. Both dolls have gorgeous color in their hair. It's tough to evaluate the hair overall because I love some things about it but am frustrated by other things. 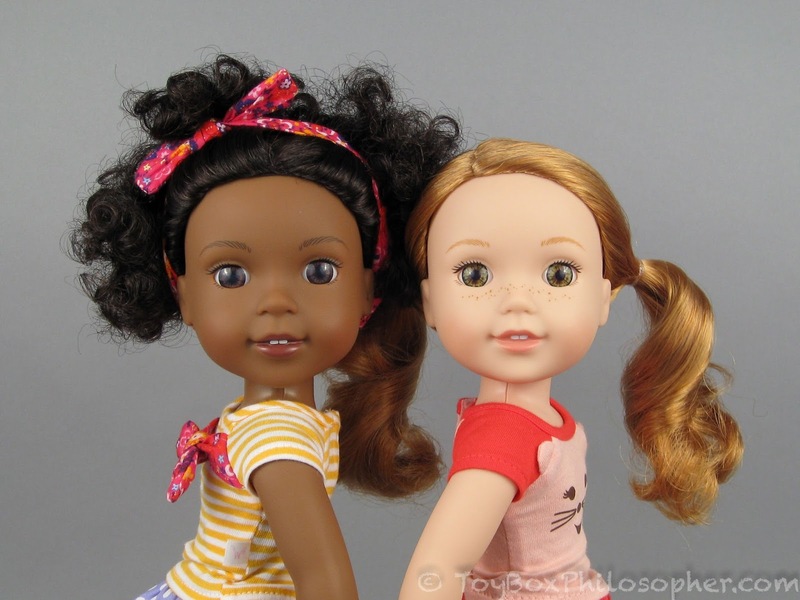 With that out of the way, there's not much else I can find to criticize with these dolls. Well...ok, I'd prefer it if they had slightly better articulation, but I'll concede that they're well-designed for younger kids. 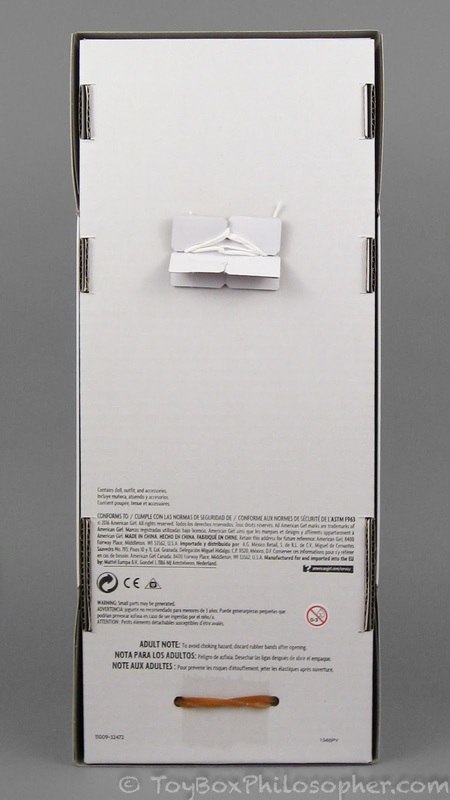 They stand up on their own, they're easy to pose, and they're a great size for carrying around. So, what are my favorite things about these new girls? Well, first and foremost, I love their faces. They have wide, beautiful eyes and bright, happy smiles. They look eager for anything and full of sweet enthusiasm--perfect attributes for a child's playmate. 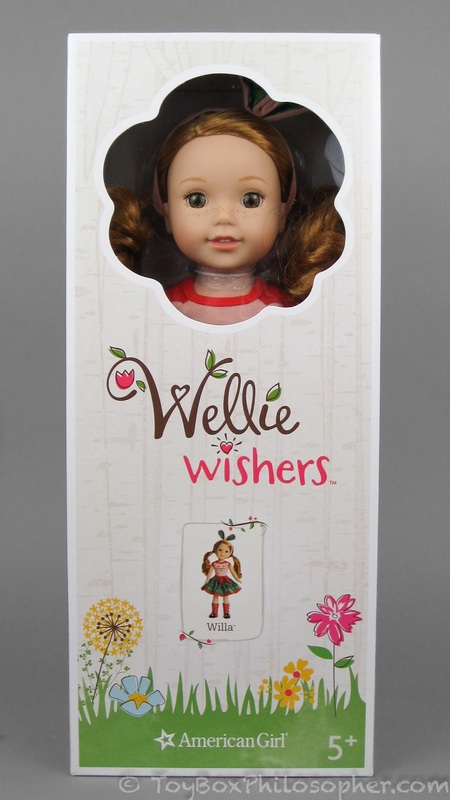 I can see similarities between the WellieWisher face molds and the faces of the regular American Girl dolls...but I like the faces of the WellieWishers better. I don't know if it's the change in scale or the narrower features, but something about these smaller dolls comes across as more alert and alive to me. 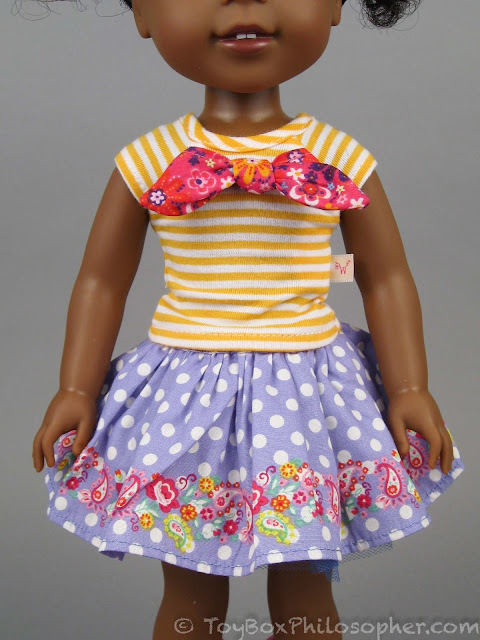 In fact, the slimmer proportions of these dolls as a whole strike me as more versatile and appealing than the chunkier American Girl bodies. 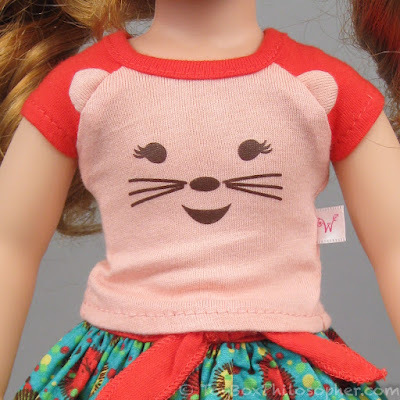 I also love the clothing in this line. 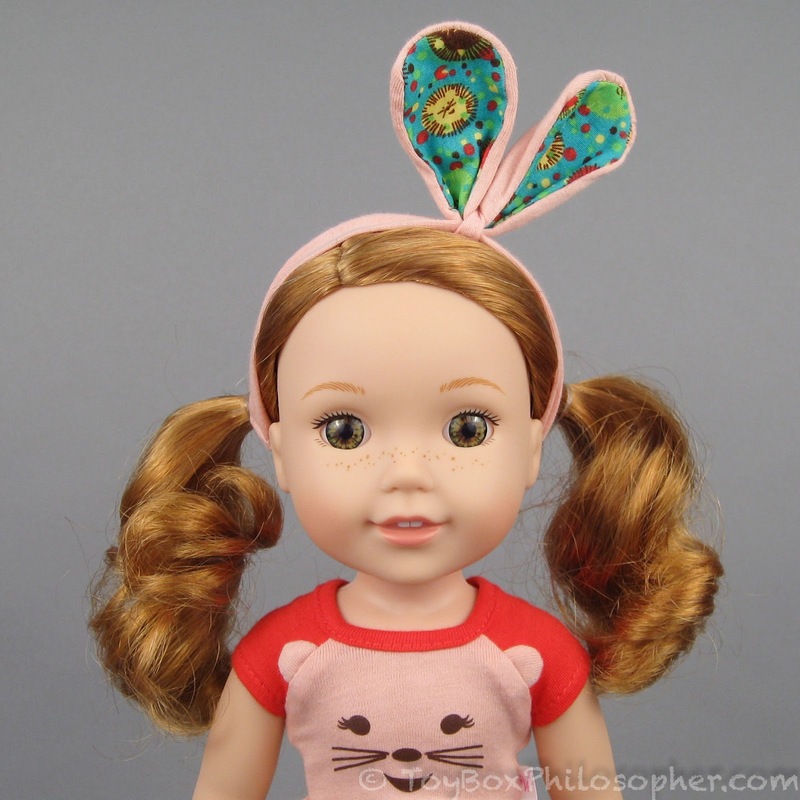 The colorful, interchangeable pieces are really fun, and they match the exuberant personalities of the dolls. The boots are my favorite part of each outfit. 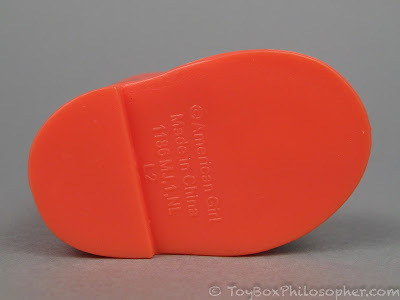 They provide a unique theme for the line while being an easy-to-use and practical shoe choice. I hope that future characters and outfit packs continue to feature these creative boots. 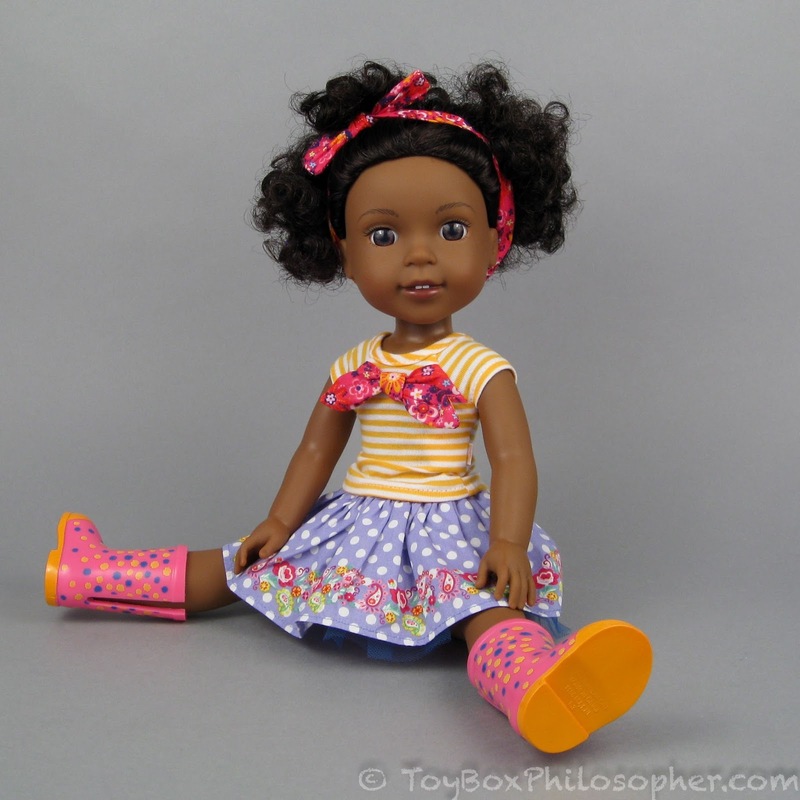 I can see kids picking their next doll or outfit based almost entirely on the boots. 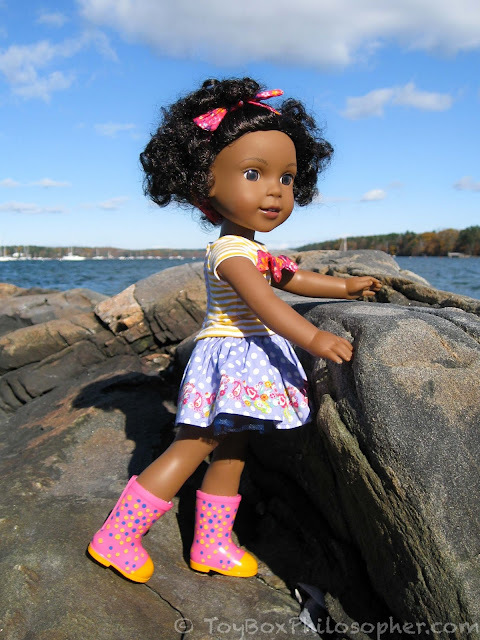 The durable, waterproof boots symbolize something else great about these dolls to me, which is the fact that they can go out into the world and have real-life adventures. 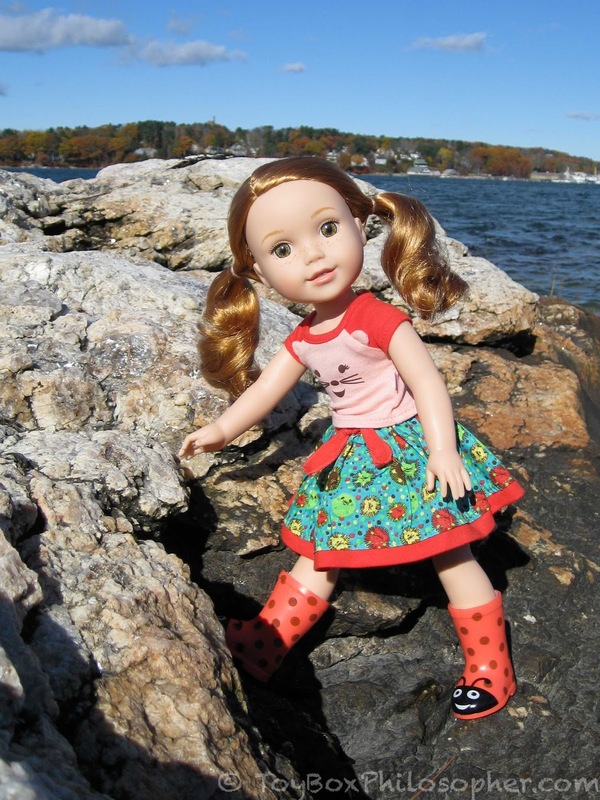 I'm always a little nervous to bring a cloth-bodied doll near the ocean, but I was not afraid to take Willa and Kendall near the water...or right smack into the water in Kendall's case! The only things that I tried hard to keep dry were the wigs--and I've already mentioned why wigs aren't my favorite option for a play doll. 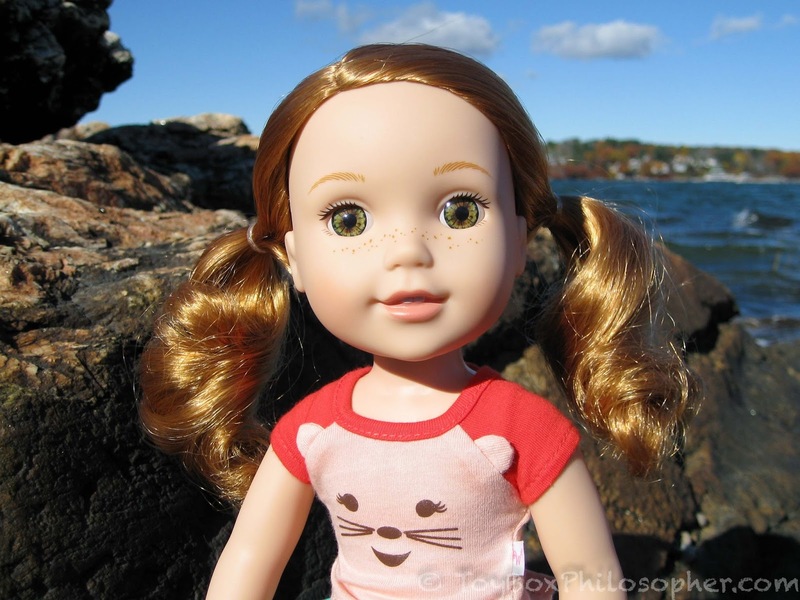 We've talked a little on this blog about the financial exclusivity of American Girl products. 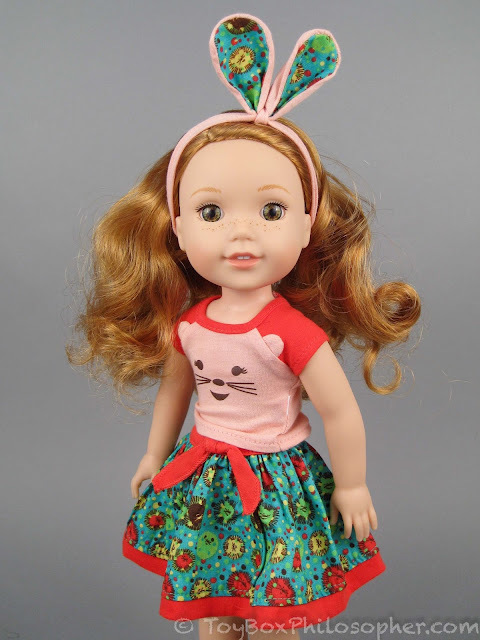 With the regular dolls priced from $115-120 and some of the accessories climbing into the $300 zone, the brand is certainly not accessible to every child. Part of me feels like American Girl pushed the price of these WellieWishers to its max, which is irritating. Admittedly, the $60 price seemed great to me at first, but maybe that was only in comparison to the cost of Melody and the other things in the store that I was coveting. 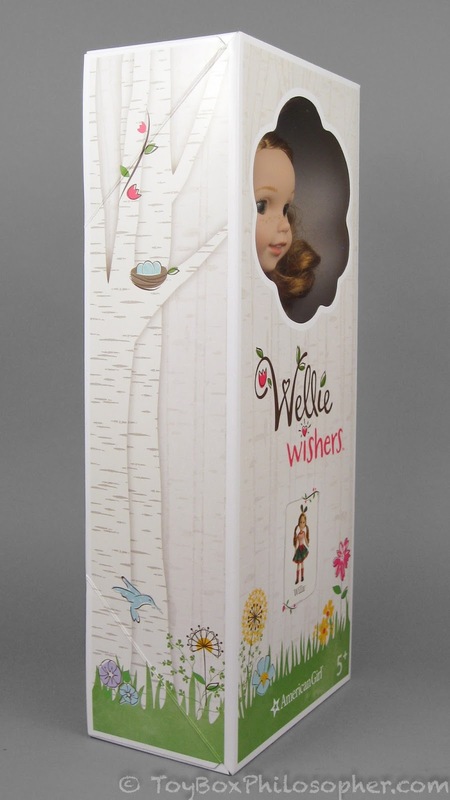 However, if this price ensures that the WellieWishers collection sticks around and grows to include more lower-priced dolls and accessories, then it's probably a good thing. 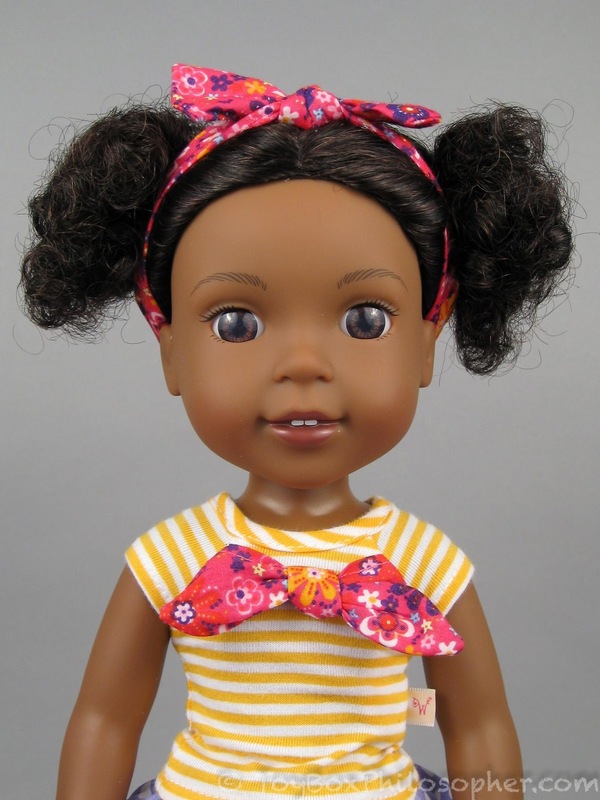 It's good because it allows more girls to join the club--to walk out of the American Girl store with a big doll box under their arm--and, in the process, welcome a delightful new companion into their adventures. Their vinyl bodies might be better for young children but the hair isn't! 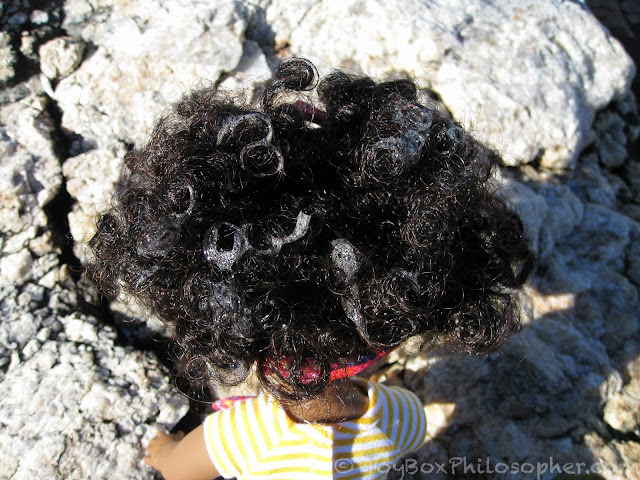 I've seen a Kendra doll with her hair hopelessly knotted by a five year old.. Though she doesn't seem to mind. 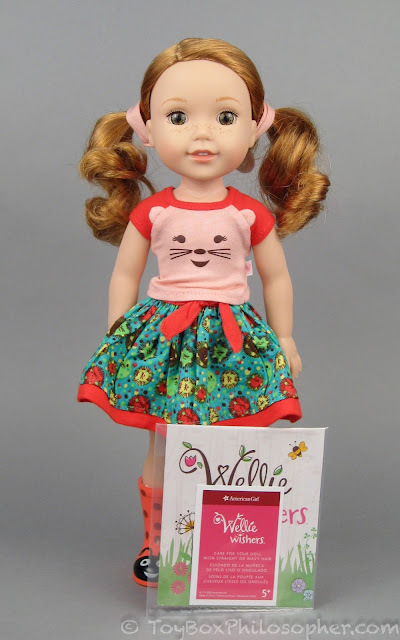 Thanks for the great review of these charming dolls! Yeah, the hair makes me nervous. I do practically nothing with Willa's hair and it's still threatening to become a huge mess. There's no way I would leave it down! It's valuable to hear your input on how these dolls are wearing under the care of their intended owners! Thank you! I like the size of these much more than the 18" dolls. I wonder how their bodies compare to the toddler Disney dolls that are (I think) similarly sized? Disney Animator's toddlers are much chubbier. I'm so excited to see Willa here! I've been drooling over her since she was leaked. The reviews I've seen for her (and other Wellie Wishers) so far have been very basic and pretty much all from rabid AG fans. Its nice to see a fairly unbiased review. Do Kendall's eyes have that blue/purple sheen in real life too? In the photos they don't look very realistic to me and bring back memories of My Twinn. She's high on my want list but if her eyes are that blueish I think its best to skip her for now. Hi Carissa, in person, Kendall's eyes are a nice rich brown...but I think I know what you mean. When I was photographing her outside, in particular, I keep wiping her eyes with my finger because it looked like there was a film of something on them (there never was). It was really hard to get a clear shot. Perhaps it's because they're so reflective? They are very shiny and dark, which can make things act funny in photos. I get nervous about all inset eyes now, too, so I completely understand your hesitation! Thank you both! That's very reassuring. It would make sense as a side effect of their reflectiveness, especially with the kinds of backgrounds in the post. Avoiding blue might be best for her, haha. Oh! 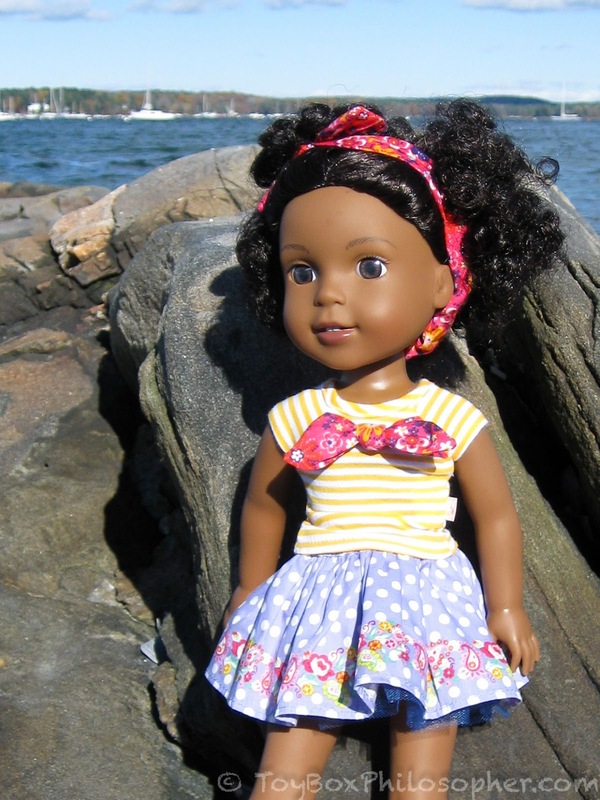 Great news about the Hearts 4 Hearts dolls! It's interesting that the price went up. 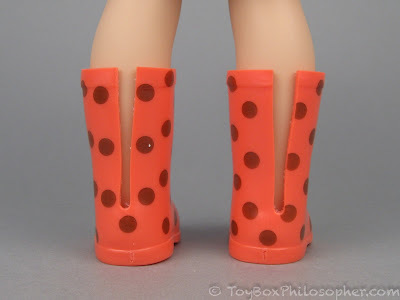 I was thinking these WellieWishers would have been well-priced at $40-$45, so it sounds like H4H got it right. :) Thank you for sharing the news! Thanks, Beggarmaid, for your happy news about H4H! Unhappily, the 3 I want are not in this lineup. Ahem. I do hope they do well enough they will release the others. I have a Dell. She is lovely and the perfect small size. LOL, the name Dell links automatically to Dell computer accessories! My goodness, this was exactly the bright happy post I needed! I collect AG (among other dolls) but darnit these little ones are so cute! I've heard of many collectors making WW the "little sister" dolls for their AGs, since they're the same scale, roughly (I agree with what you said about the WW more plausibly skewing to an older age than AGs, but I think AG is keeping their ages to depict a six year old or so, whereas AGs are generally nine/ten). Which is terrible, because it gives me a great excuse! 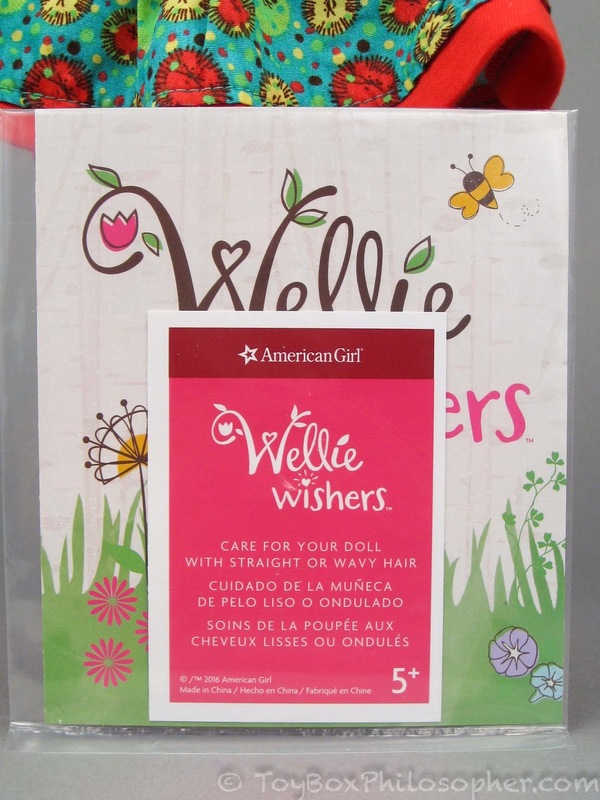 This doesn't do much (if anything) to alleviate the price exclusivity, but AG is now selling their modern line as well as Wellie Wishers at a few Toys or Us stores. Thank you again so much not only for this review but for all your reviews. They go a long way to provide some happy distraction and joy in a world that can be so bleak. I didn't know that the AG modern line was also available at places like Toys R Us! Apparently it's high time I did more research at that store! ;) These little dolls do provide a happy distraction, don't they? I've always found such delight in the optimism, kindness, and open-mindedness of children. 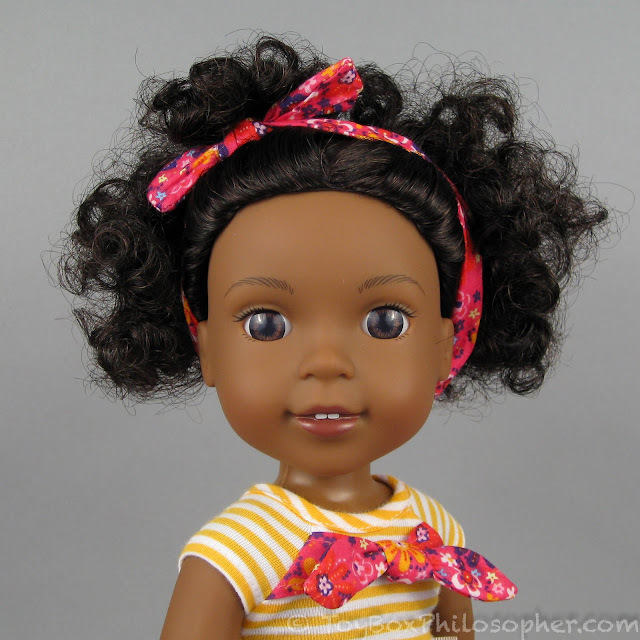 One of the reasons I love dolls so much is that they make me think of kids. 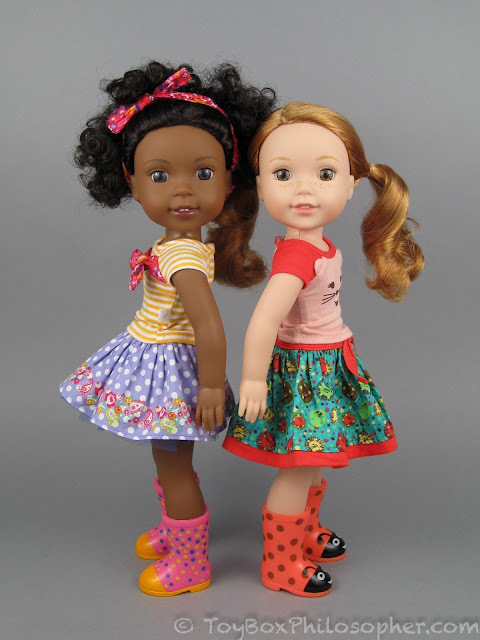 Maryellen and Melody are even available on Amazon now! There's exclusive bundles and they recently added separates of most, if not all, of the two girls' collections. They all get free shipping with Prime so its really great. I love how accessible the brand is now! Thank you for the great review! 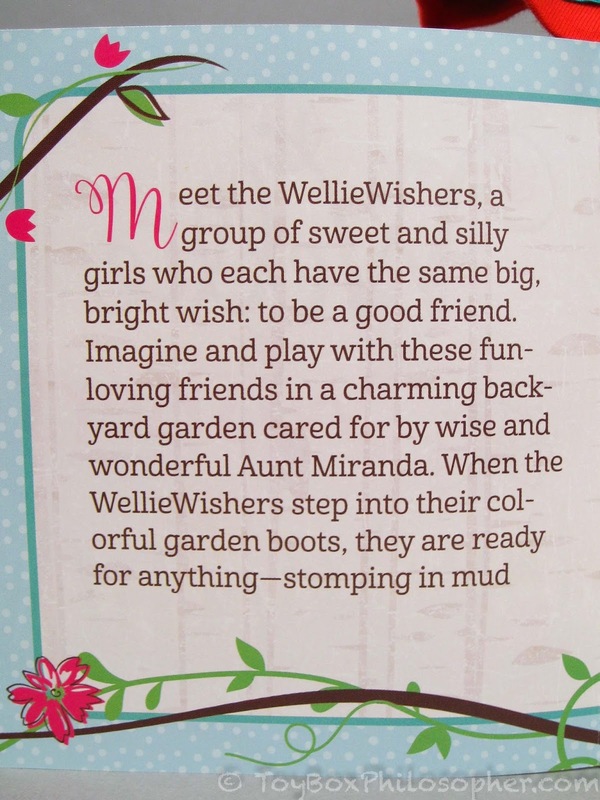 I think the Wellie Wishers are adorable and would make great little sisters as someone else mentioned. 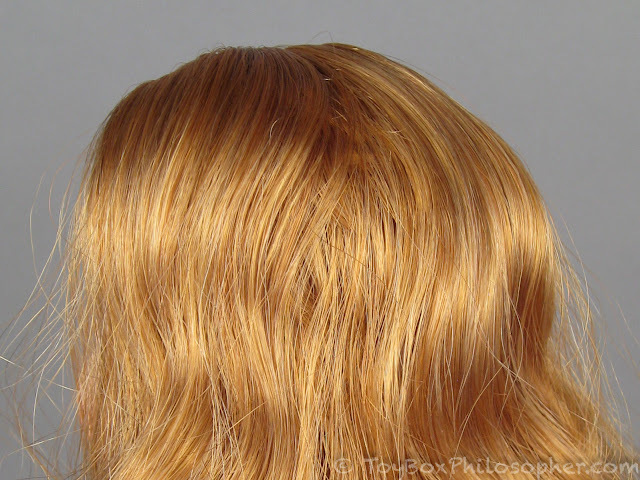 Another reviewer did a wash on Willa's hair and it softened it a bit; made it look more manageable. Not sure if the treatment lasted or not. Yay! Thanks for reviewing these gorgeous girls! Aren't they sweet? 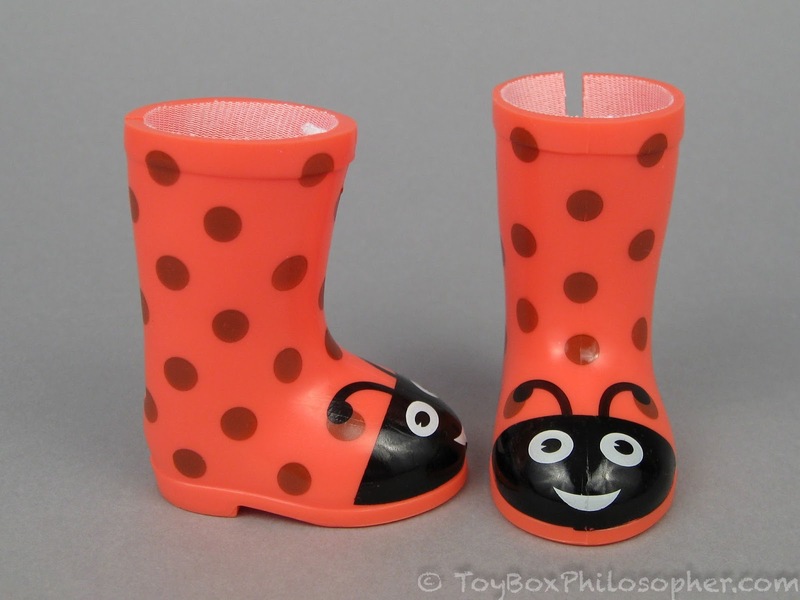 Yay, WellieWishers! I don't have one - I'm at capacity, for all the times I've said that? I've finally reached it. I do love these sweet girls though. 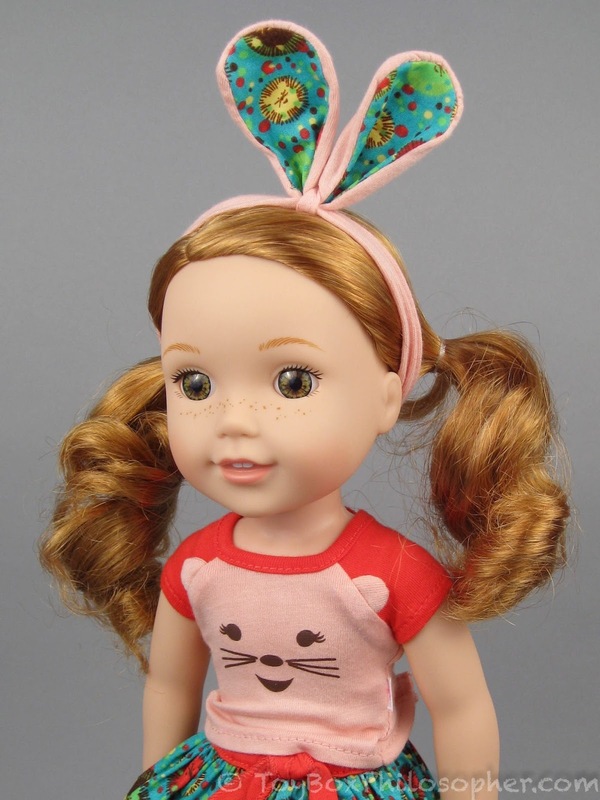 I've seen a lot of Willa dolls as stand in for Maryellen Larkin's younger sister Beverly, because Willa and Maryellen really do look like they could be related. 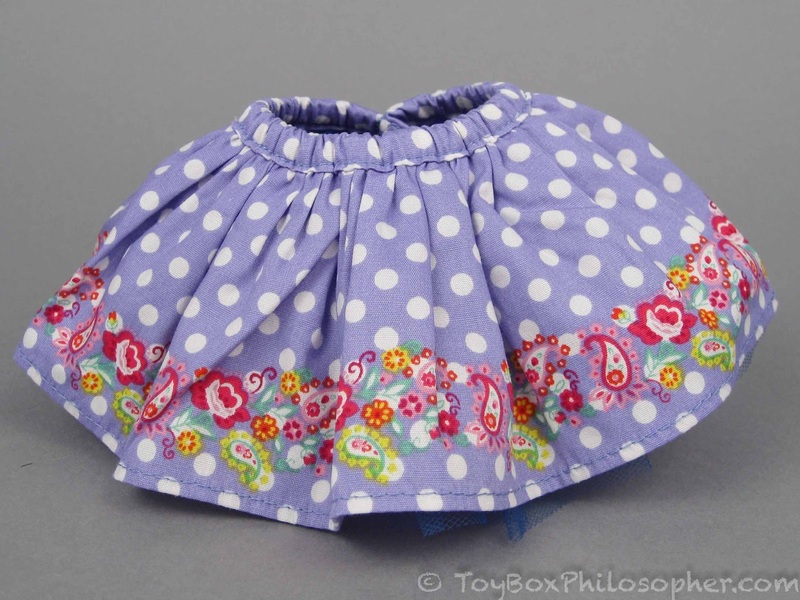 So, people are making 50s clothes for Willa and it's CUTE. If I was to get one, I'd definitely get Willa. 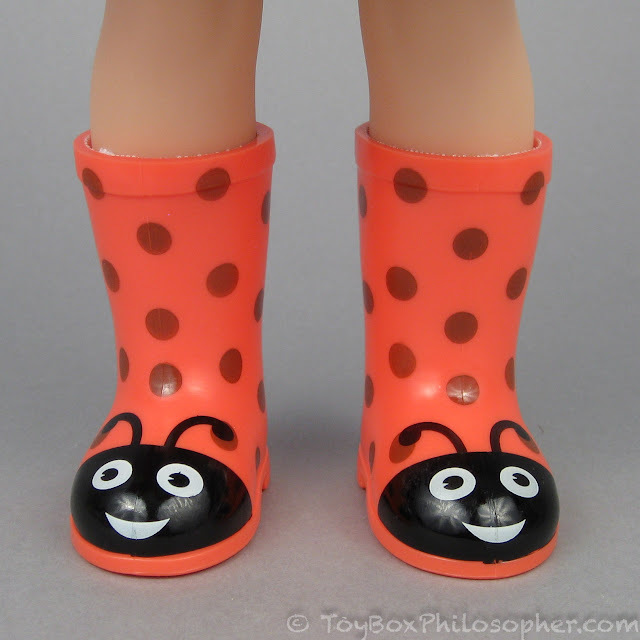 I've not noticed any complaints about the bodies not being cloth, most folks just think the Wellies are cute dolls and leave it at that. THAT is where a lot of people have been complaining. "It's not SPECIAL anymore, the magic is GONE," they say, with this underlying attitude of "Ew, how dare POORS get to have nice things." But that attitude largely gets shut down in a hurry, at least in the circles I run in. 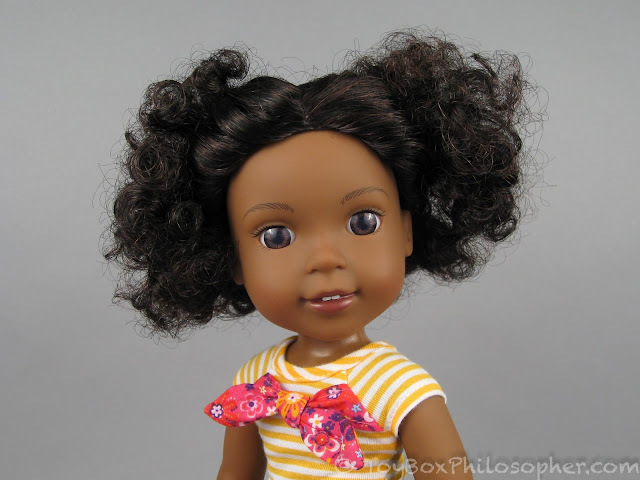 Let me disclose: I never had an American Girl doll. We couldn't afford one. I've been there, seeing all my cousins get them. 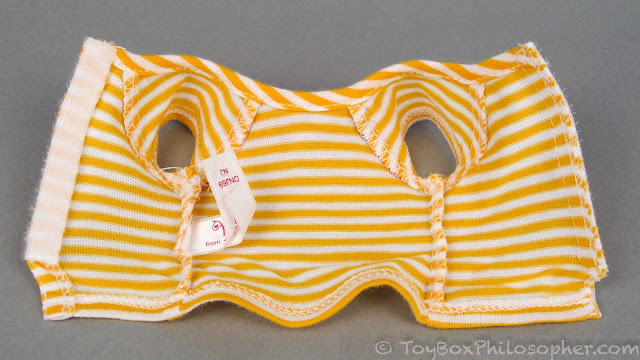 That out of the way, as a mom now but who has many friends who did get one, the high price actually did impart magic, and it had nothing to do with the "POORS." A higher price meant that it was only the RARE kid who got more than one. 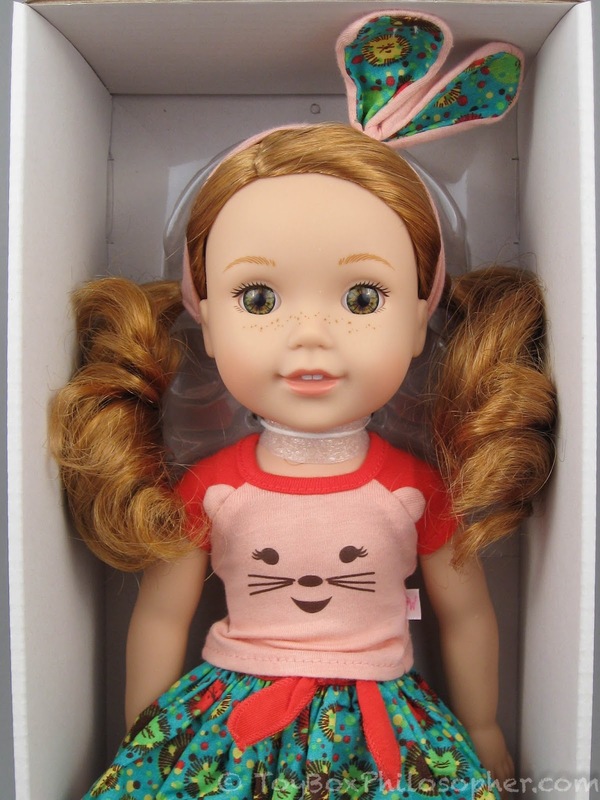 My friends recall opening that one box, and who it was, and how special that one specific girl was Since almost every kid who got one got ONE, it was a special doll. Most kids have a bunch of Barbies, but only got one AG, and knew that that was it. So it was always more thoughtfully chosen. 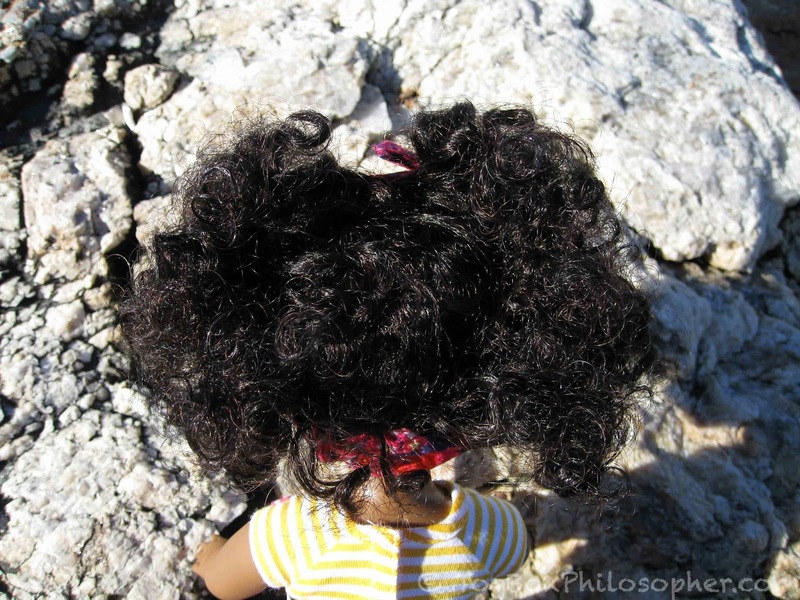 That thought and care and the fact that there would be no more are what made it mean something more than just being another doll. Let's face reality. 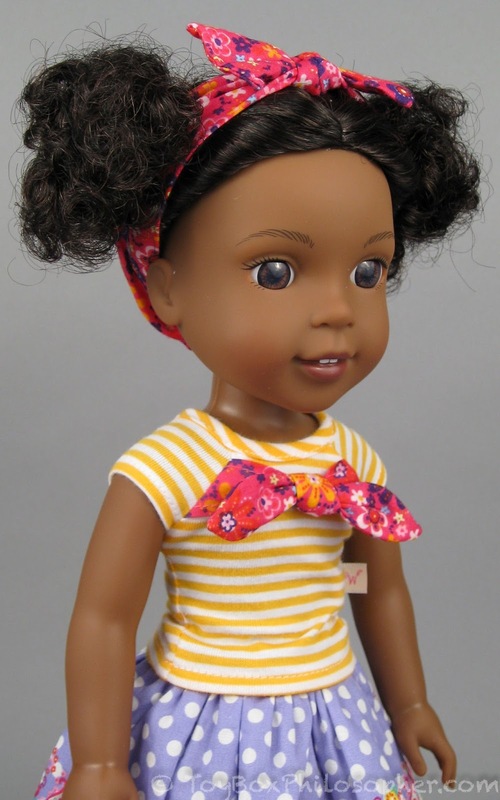 There are a lot of dolls in the lower price end, and not all dolls should have to be. That's pretty entitled thinking. Again, I didn't get one, so it's not like I'm some rich kid wanting my toys to be exclusive. No. I know what it's like to not get that magical doll. But I had other dolls, and was fine with that in the end. It taught me that we don't always get everything we want, and because of that, I didn't grow up thinking that everything I want should be what I could afford or else it wasn't fair. 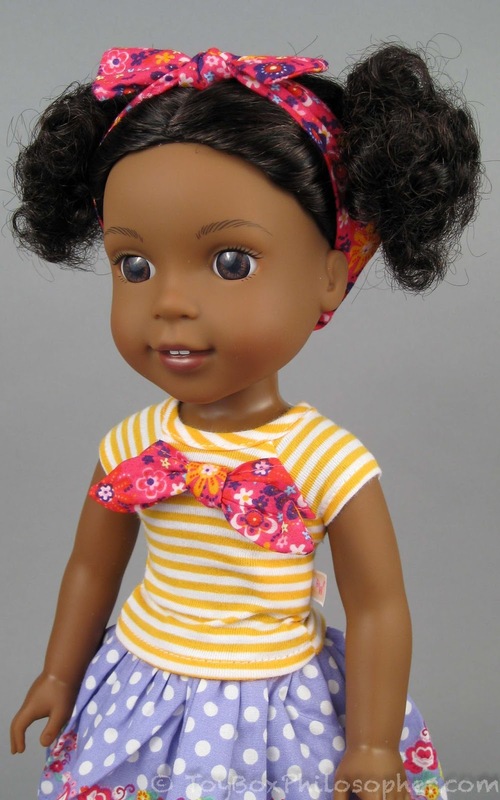 I saw my cousins all get them, paid for by my grandparents (they got them for Christmas one year while I got a Barbie, and I got the Barbie because my birthday is close to Christmas, which shouldn't matter, but I digress). But the world didn't end because I couldn't have everything I wanted. I've carried with me into adulthood the ability to accept that not every apartment, house, car, electronic, everything, isn't going to be priced for me, and unlike a lot of my friends, I don't whine about how "they hate the poors." No, they don't, but again, none of us are entitled to these products existing at all. And let's be honest. Part of why these dolls are so desirable is because they aren't something most people can buy on a random day as a random treat or as a reward for straight A's. The price makes them a treat. Even though it's steep, I'm extremely fine with the price of AG dolls. I've been saving up for a while now to get my daughter Grace (managed to snag her for $15 over retail), and perhaps partly because I didn't get one, it's special to me too now to get to give this doll to her on Christmas. She will not get another one. We are not rich, and are struggling ourselves right now. Four years ago, when we were still homeless, I still was fine with the price of them. 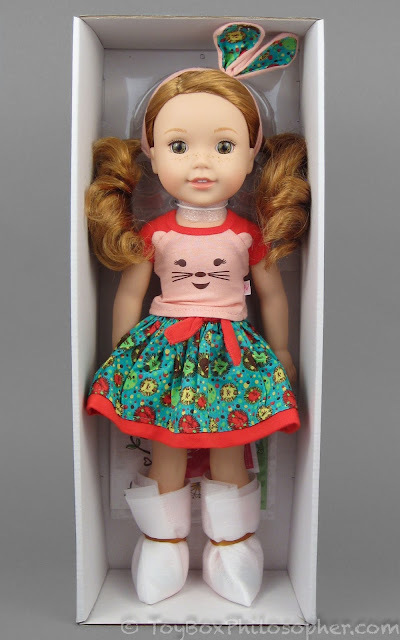 We weren't high enough to be complaining about dolls when we were worried about food. 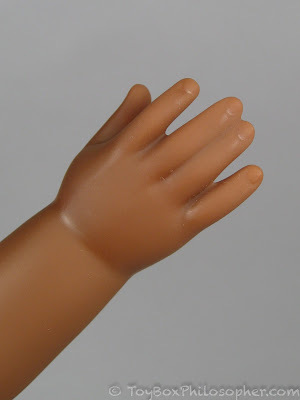 When you're worrying about not all toys being in your price range, then you're better off than you realize. Okay, but what AJ was talking about, which I've seen for myself, is the absolute classism of some collectors (if you don't fall into that category, great! Then that doesn't apply to you) that complain about how "gross" it is to have AG in non-AG stores, how that "cheapens the brand" and they are actually going to boycott American Girl (!) if "just anyone can get one", an actual phrase I saw on a very inflated blog post decrying the changes. The fact the actual price will be the same seems to escape these people. "I've carried with me into adulthood the ability to accept that not every apartment, house, car, electronic, everything, isn't going to be priced for me, and unlike a lot of my friends, I don't whine about how "they hate the poors." No, they don't, but again, none of us are entitled to these products existing at all." 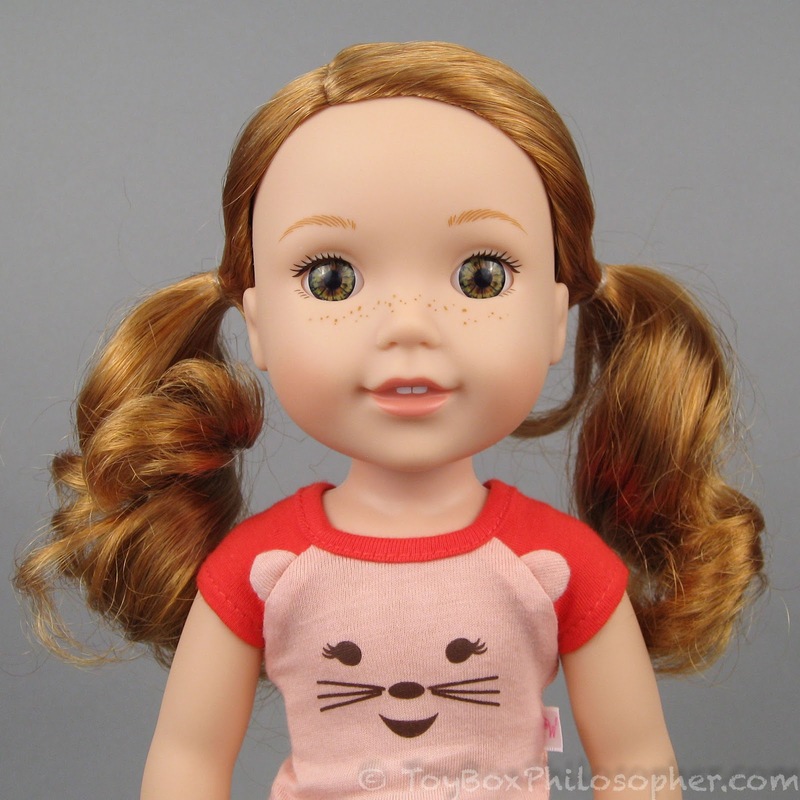 A doll (or electronics) is not the same as housing. There are basic human necessities and there are luxuries. It's not the same thing. If you were homeless with a child and had time to think about the price of dolls and whether or not they were fair, I applaud your sense of self-preservation, since that would certainly distract from the reality of trying to stay alive. What AJ I believe was saying is not that people are "entitled" to AG, it's that a loud portion of collectors in the community think some people AREN'T entitled to AG, which is actually the most privileged (as well a downright mean) opinion of all. 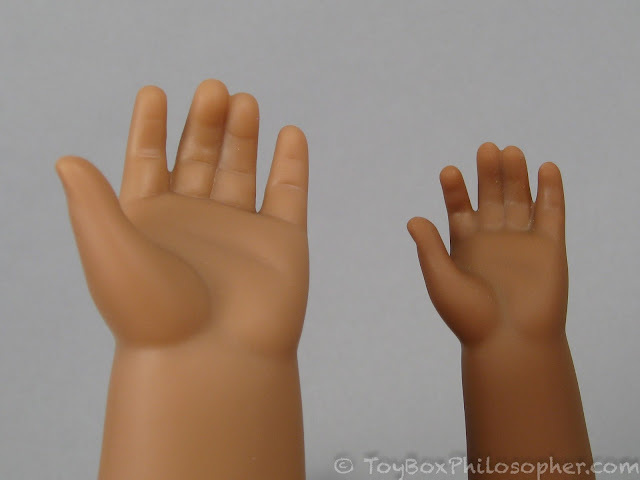 Frankly, I think a lot of it is much ado about nothing, as the dolls still cost the same, not every Toys R Us is stocking them, and online is how I understand most people still get them. Love the way you showed how the colorful clothing could be mixed. Your WW and AG sculpt comparisons were interesting. Initially, they looked very different. Yet, I can appreciate the similarities now. The WW line is cute. A new AG review is welcome! There IS something new, and that's a new doll! 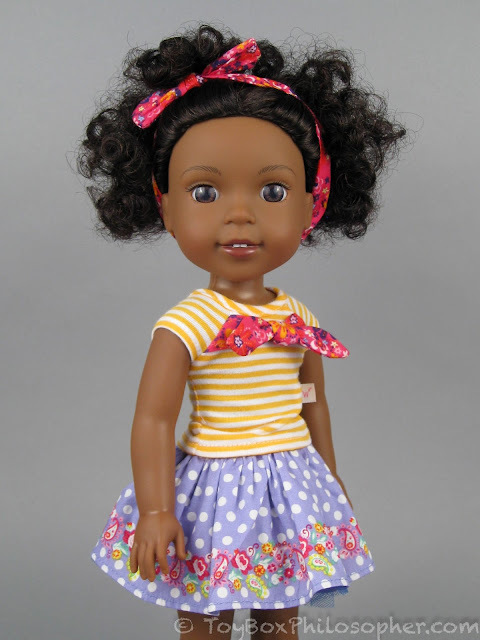 Seeing the new outfits and accessories and playing with the other dolls is so fun! 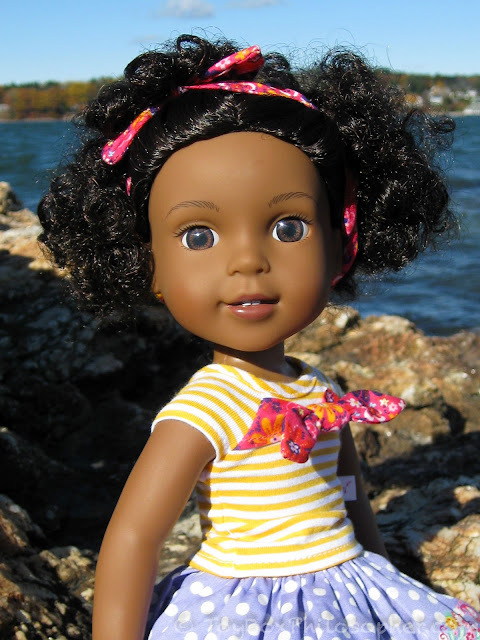 These dolls are incredibly precious. Just incredibly. These are super cute! I was really excited when this line was unveiled; when the My American Girl website was launched, I found myself wishing the dolls themselves looked as cute as the online avatars- and these look so close to that design! I'm pretty bothered by the way they styled the wigs, though. 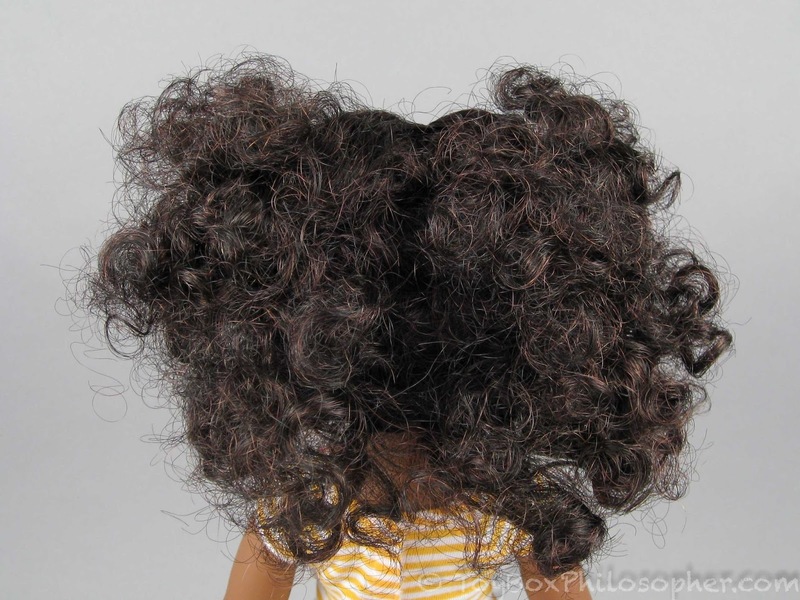 I love Willa but I would have to buy her a new wig, definitely, because I like all of my dolls to have unstyled, let-down hair. I love the size of them too. 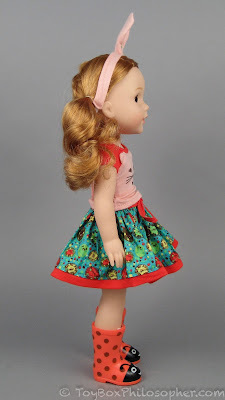 I love the AG I have but she's pretty big compared to my other toddler dolls, and Wellie Wishers will fit right in with my Corolle Les Cheries and my Hearts 4 Hearts dolls. Speaking of which, I really hope you decide to review the relaunched H4H dolls! They're probably exactly the same as the originals but I'd love for you to do a nice side-by-side review of them. 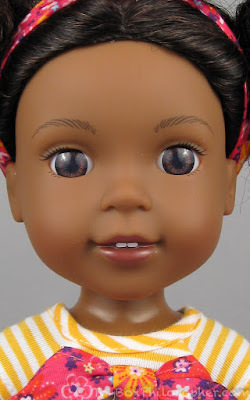 I have Dell and Nahji coming and I'm excited that I won't have to pay an arm and a leg for purple-eyed used dolls anymore. I need new girls to go with my (gorgeous) Mosi and Consuelo! Thanks for this review Emily. 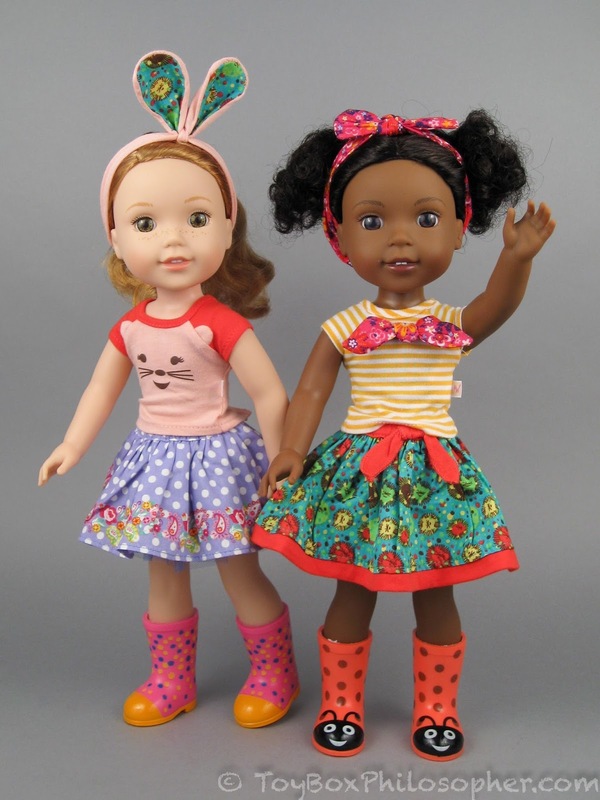 These dolls look like the perfect little friends for a child. 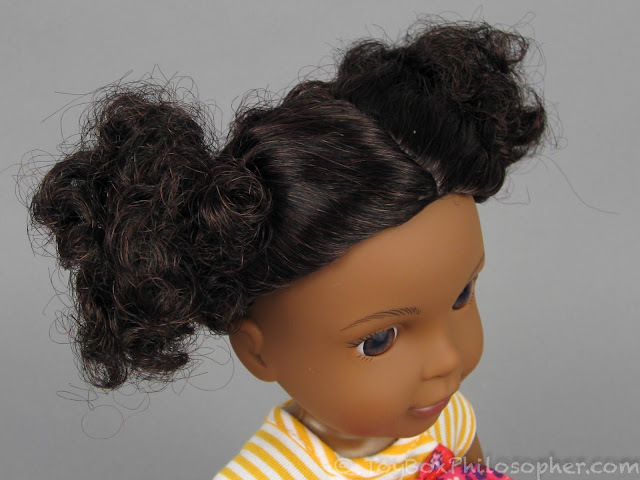 After seeing your tutorials on this type of doll, I actually like their wigs since people who get fed up can buy new wigs to replace them. Emerson has long hair, actually! 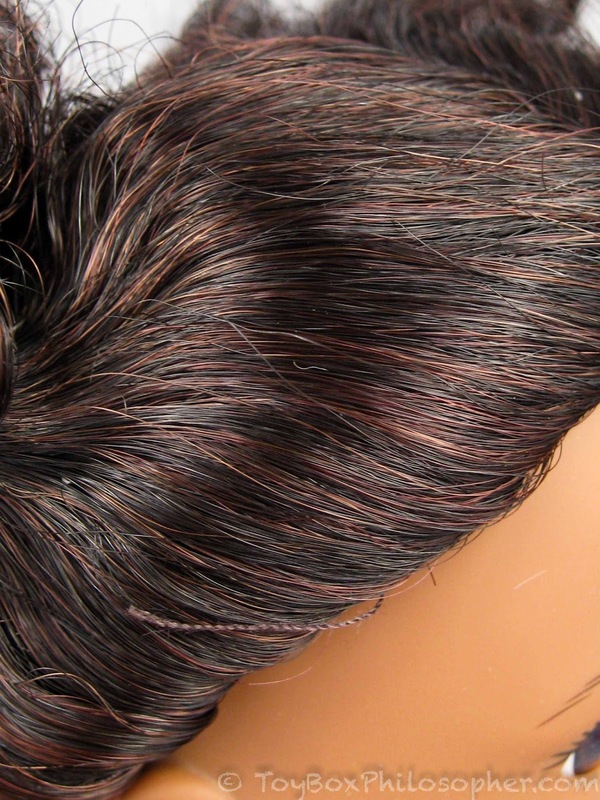 It's just a hair style. Unfortunatly her hair got badly chreased by it but it's fixable. Some people just straighten it, but I love her curls to I went with braiding it instead. Not perfect, but good enough. I might straighten and then re-curl it at some point. 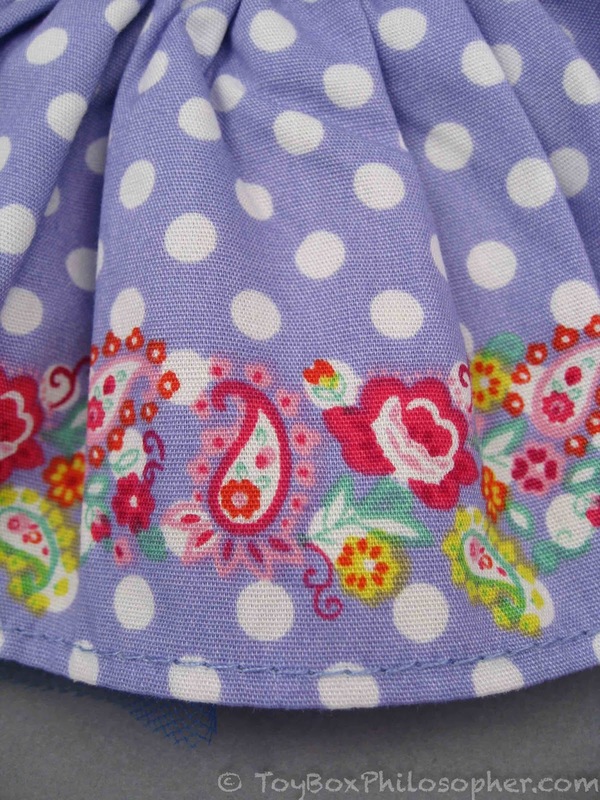 I have been loving your blog for a while, and love your projects! Thrilled to see the Wellie Wishers. However, I thot I'd mention that the version of hedgehogs on this land mass are called porcupines! :) The Native Americans used porcupine quills as decorative elements on some amazing items. Thanks for this review! I'm sure a lot of well wishers collectors can't wait to include these babies on their collections. Even my friends from educational website are very excited to buy their own. I am looking through the last set of articles that have red letters accenting a doll type and find the information quite revealing about a time in a young girl's life that only comes back in books she remembers to have read as a 9 year child. Or perhaps a friend, a doll a movie shared with her grandmother that was filmed on Haley Mills at the same age as myself. 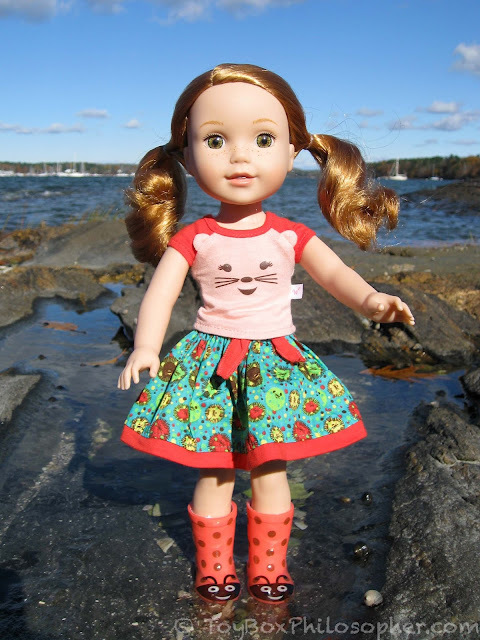 How well can WellieWishers and Hearts for Hearts Girls share clothes? I know one is bigger than the other, but can they share clothes?